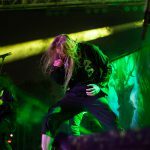 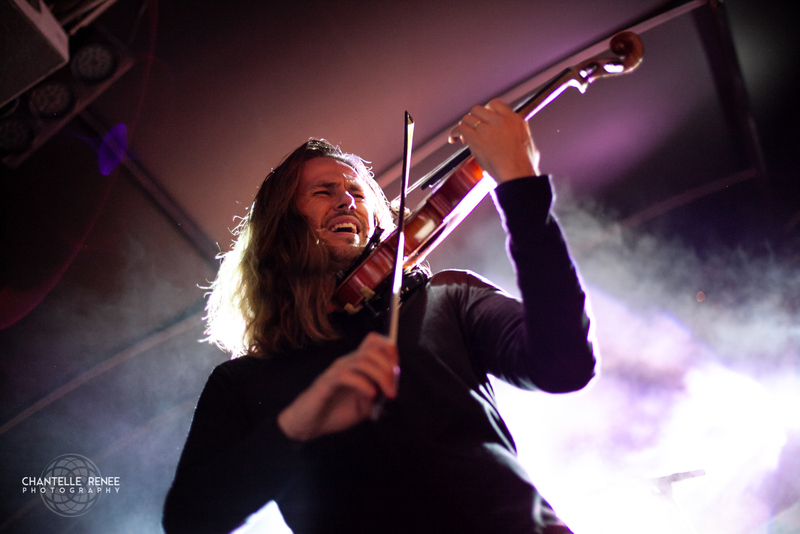 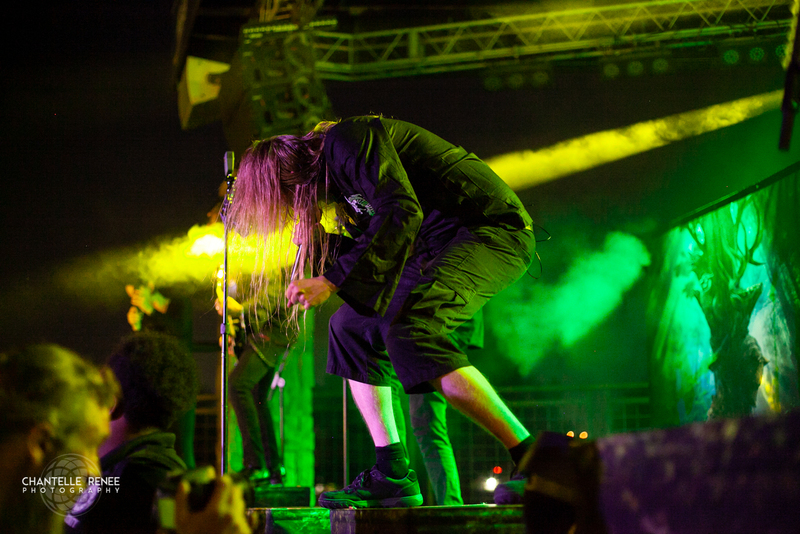 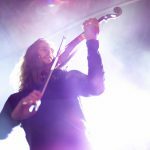 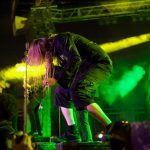 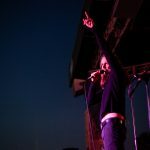 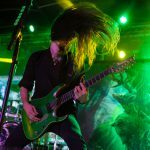 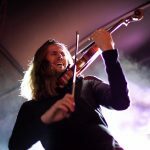 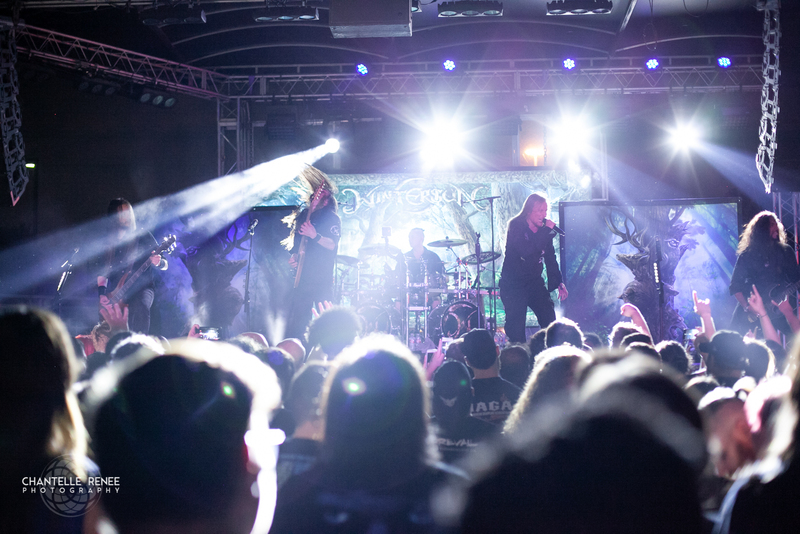 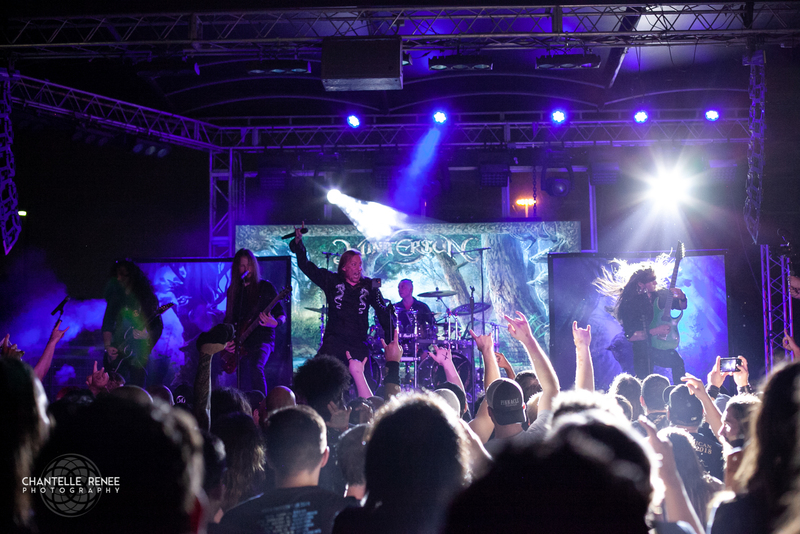 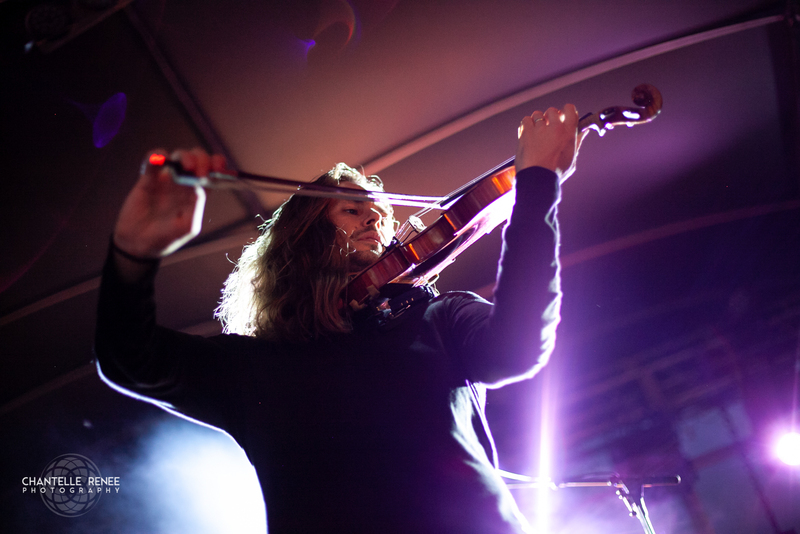 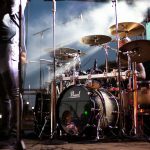 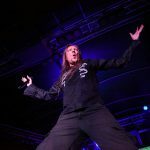 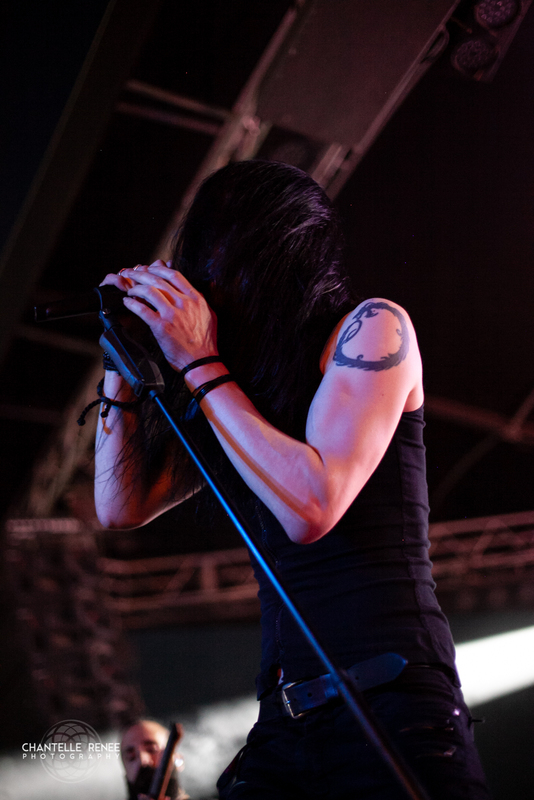 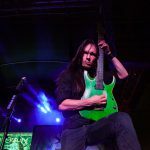 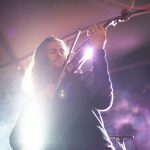 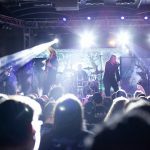 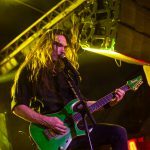 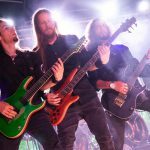 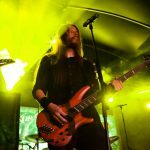 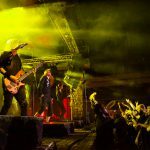 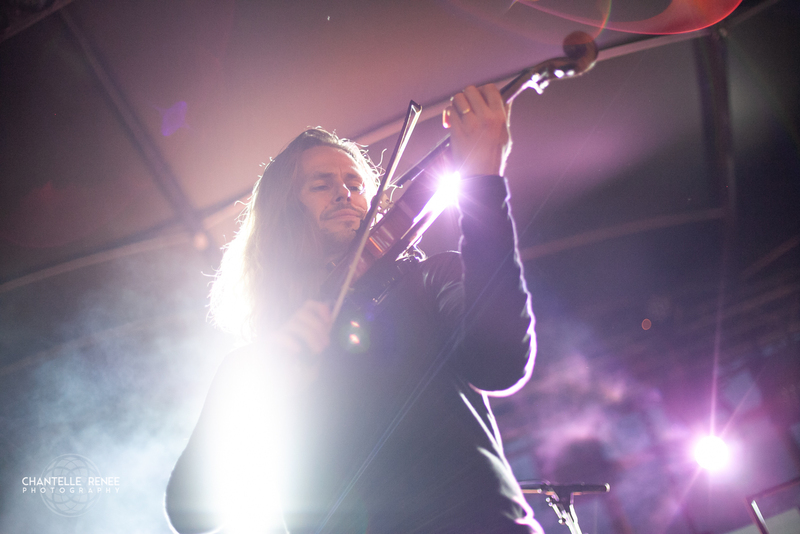 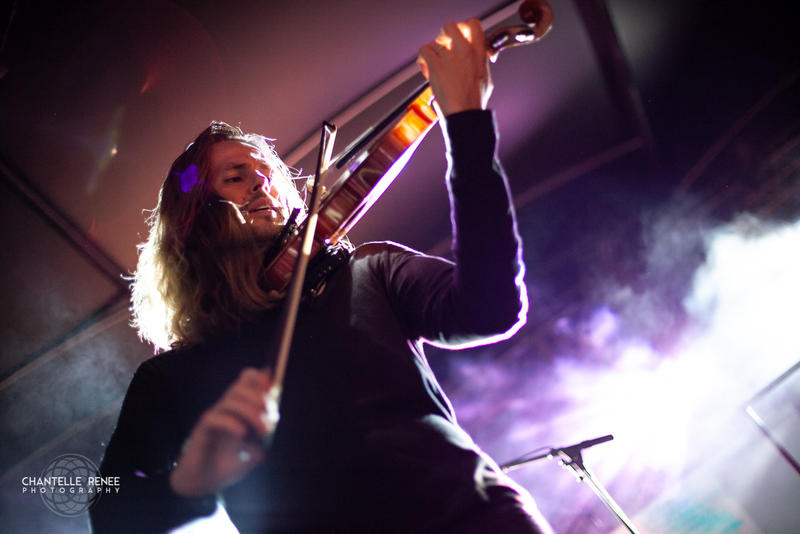 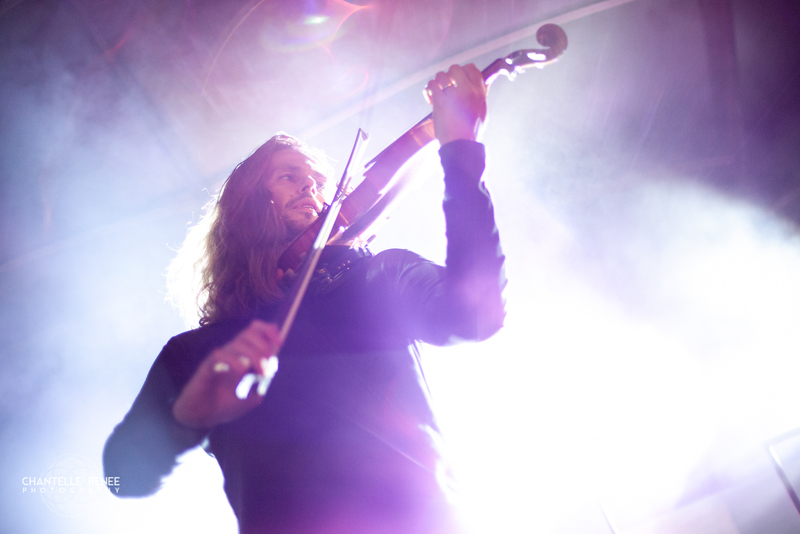 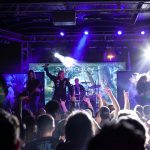 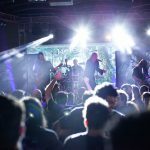 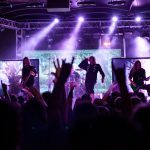 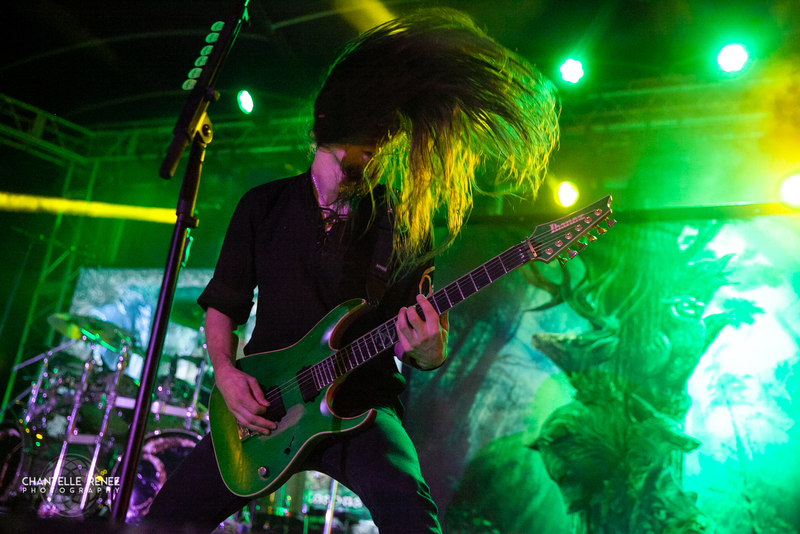 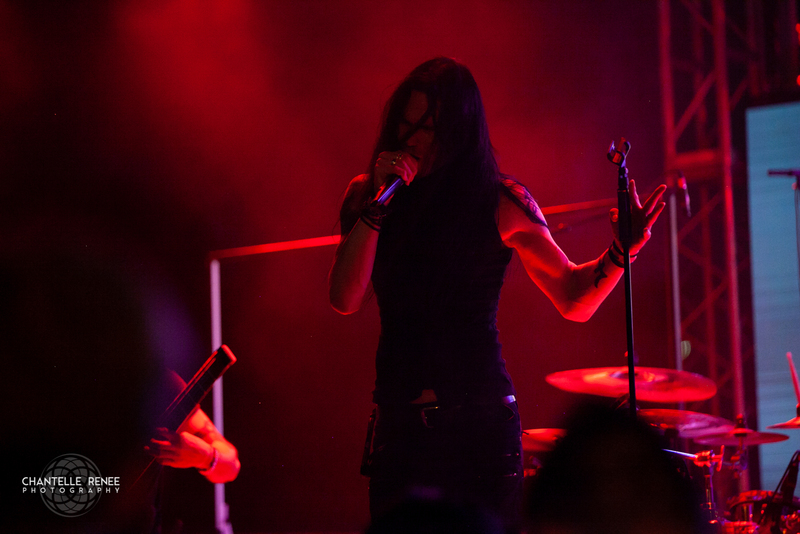 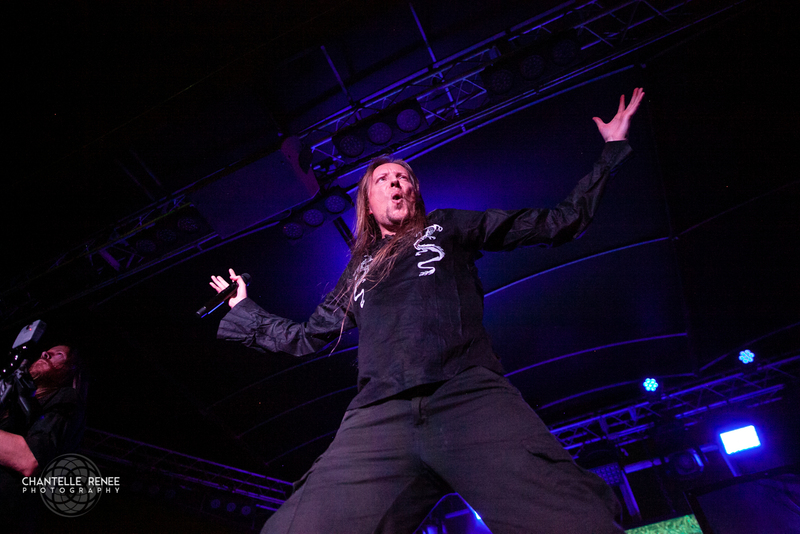 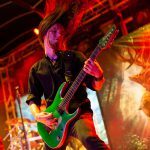 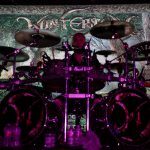 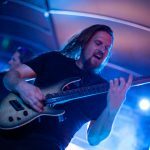 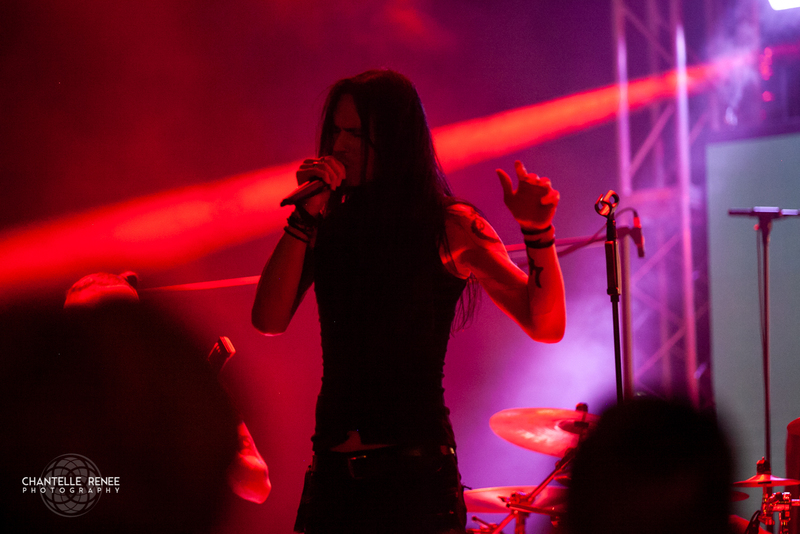 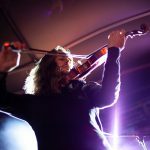 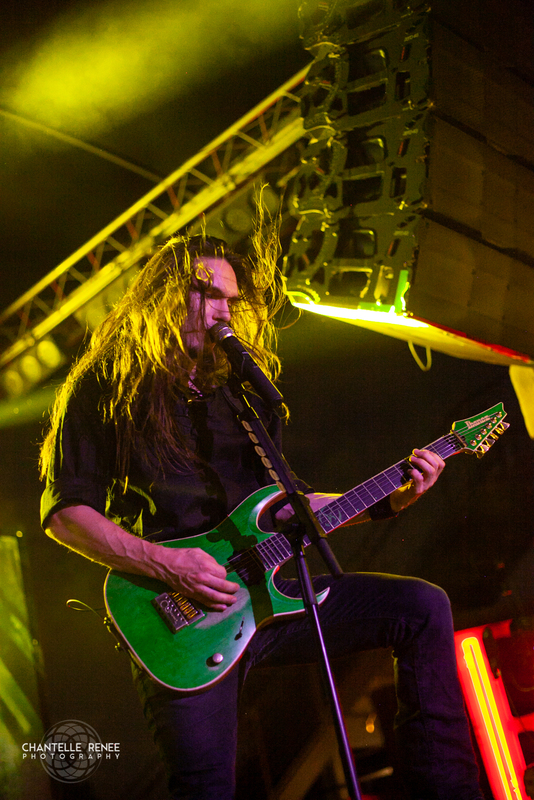 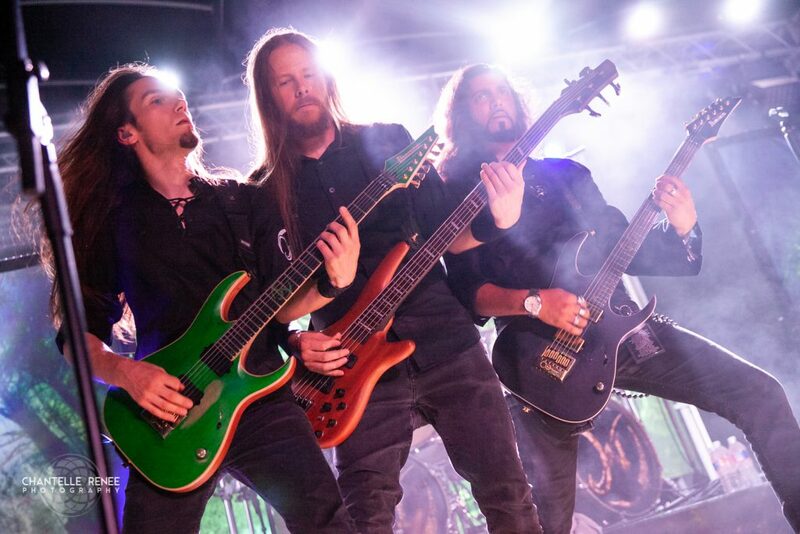 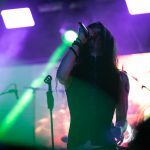 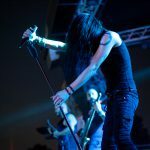 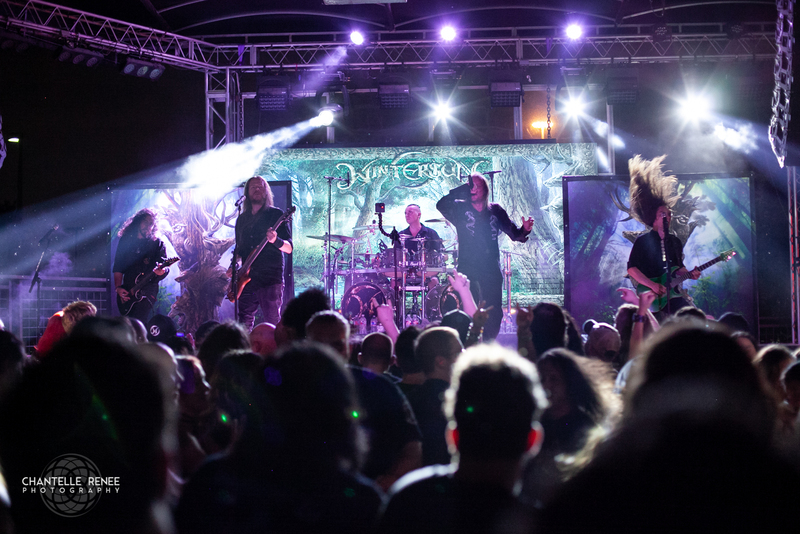 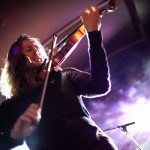 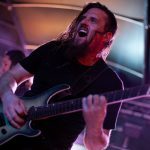 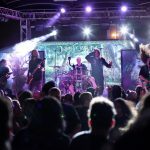 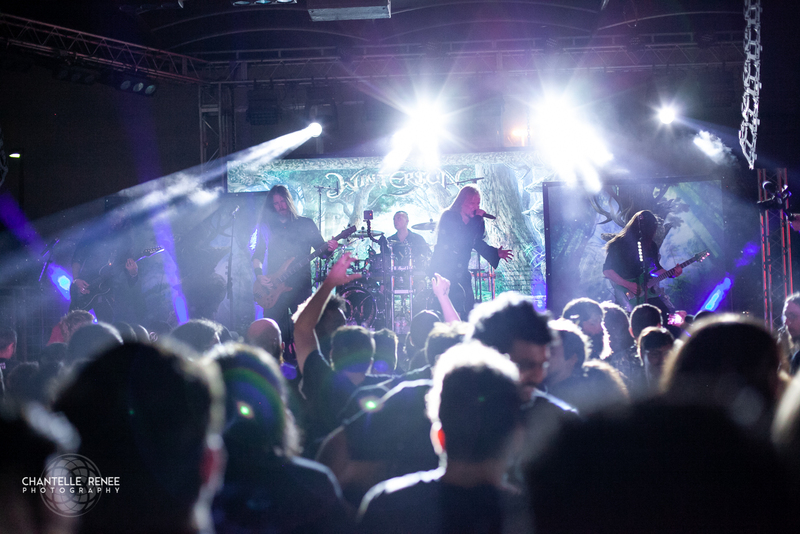 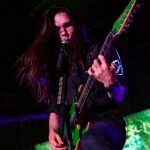 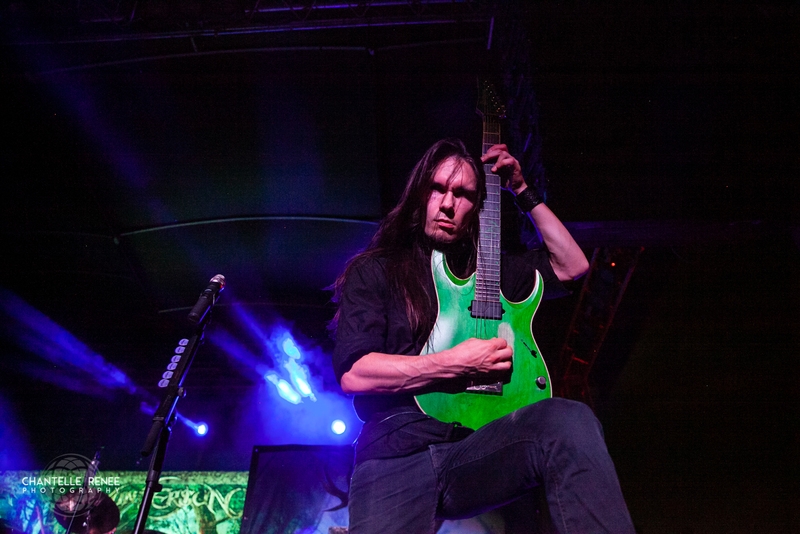 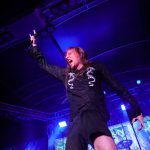 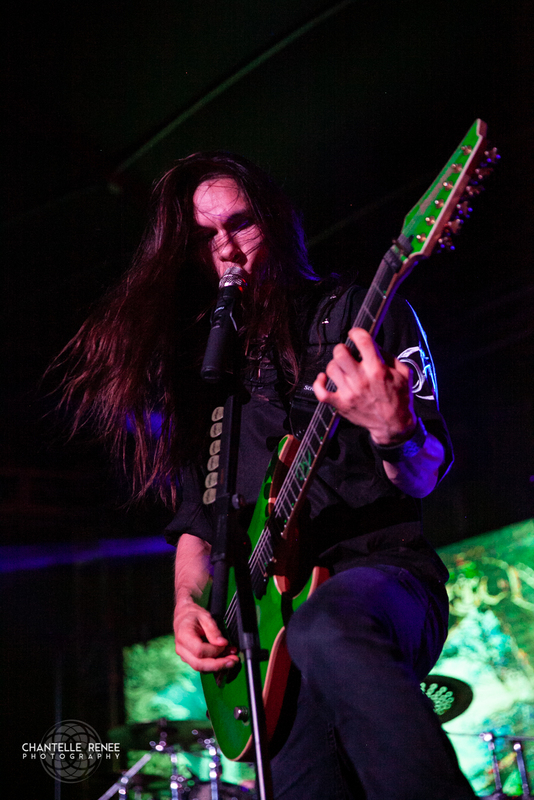 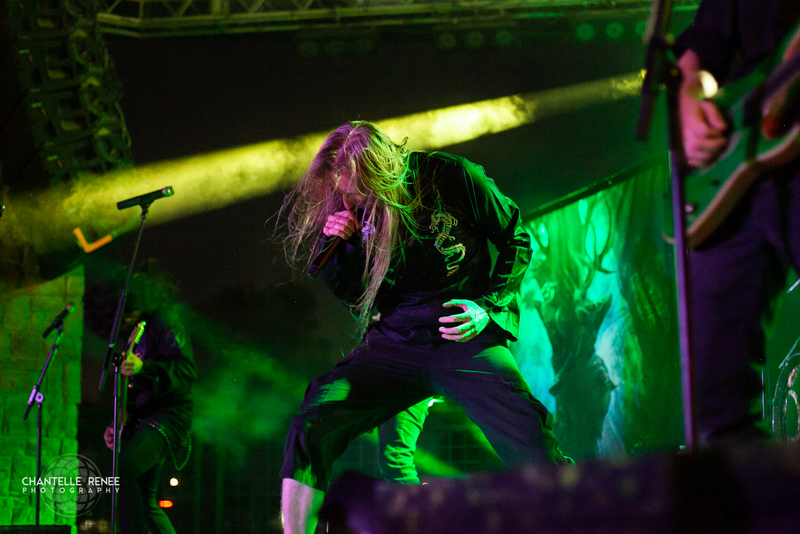 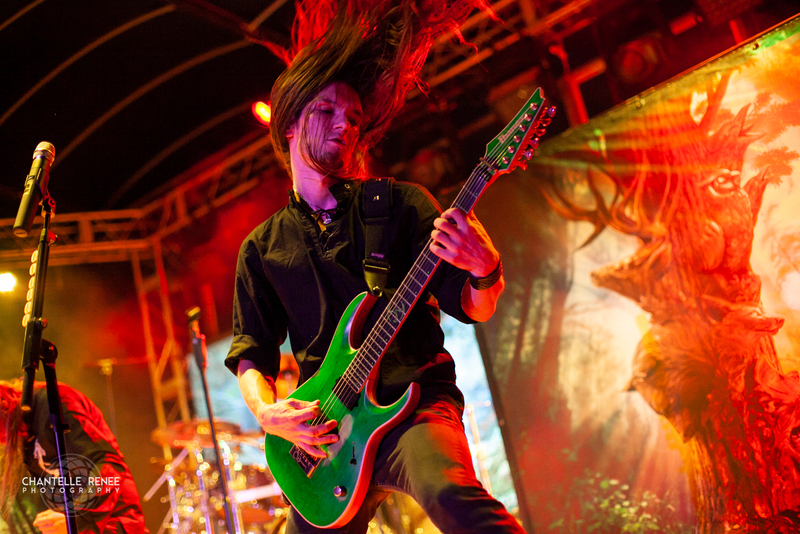 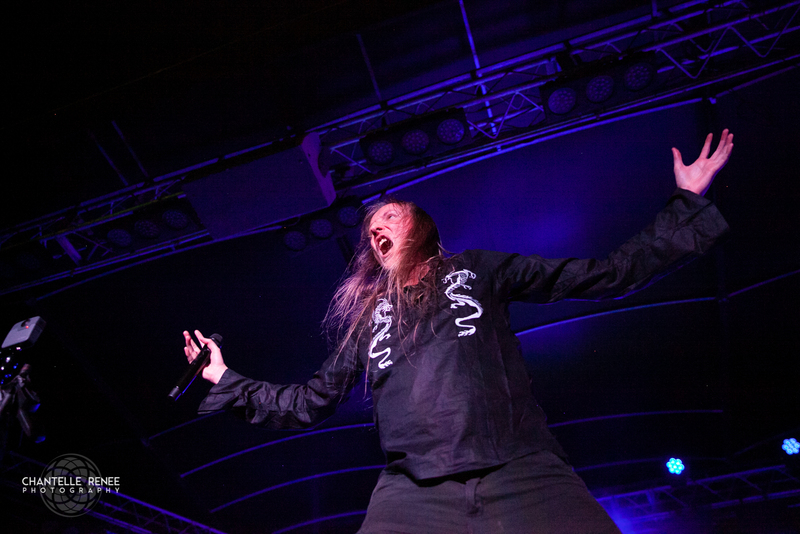 Wintersun, Ne Obliviscaris, and Sarah Longfield Live at Gas Monkey Bar & Grill! 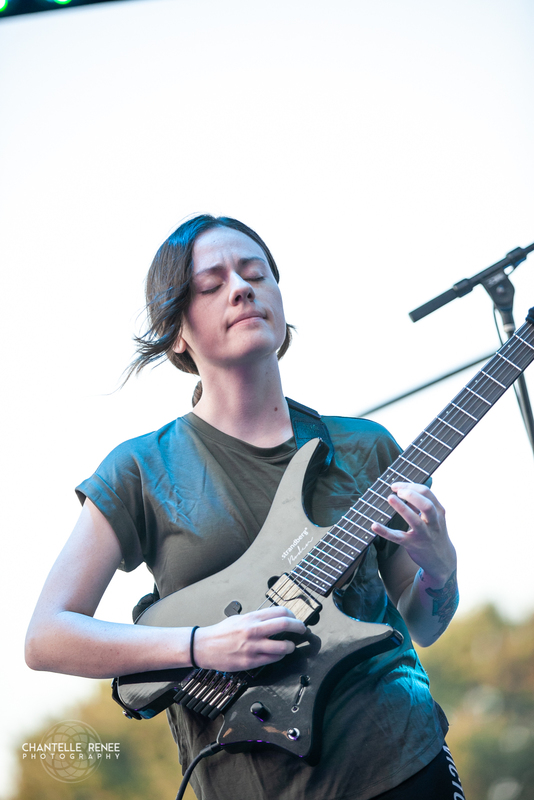 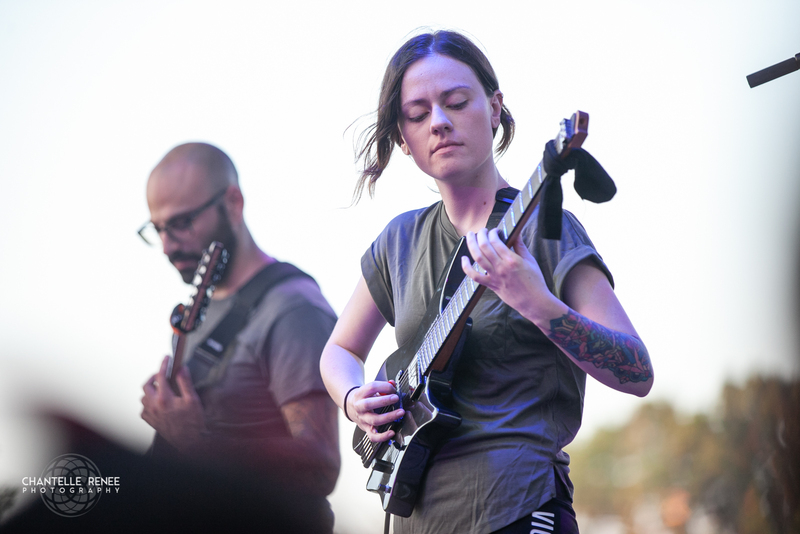 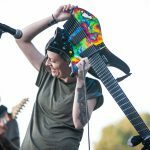 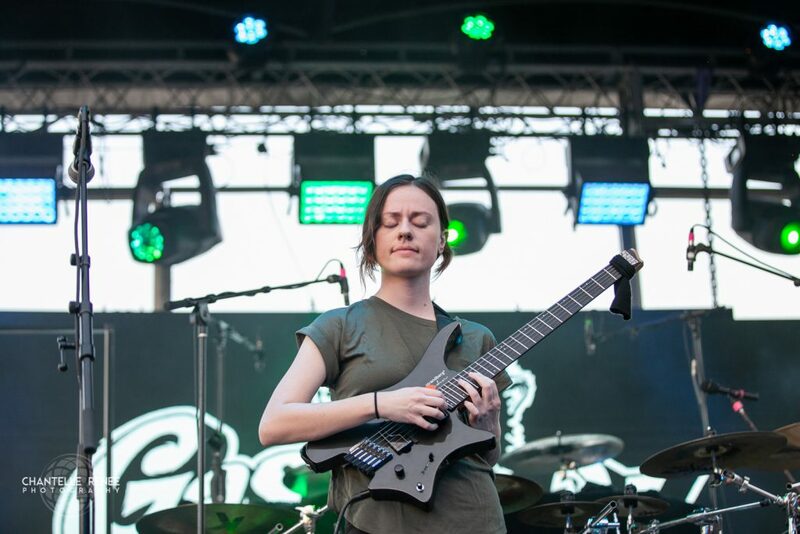 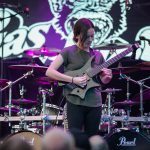 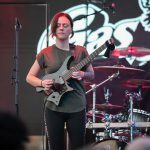 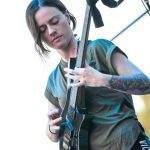 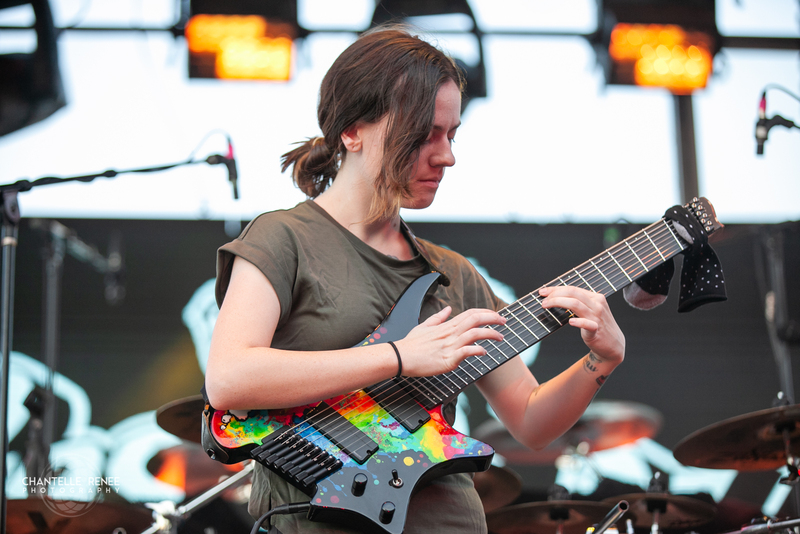 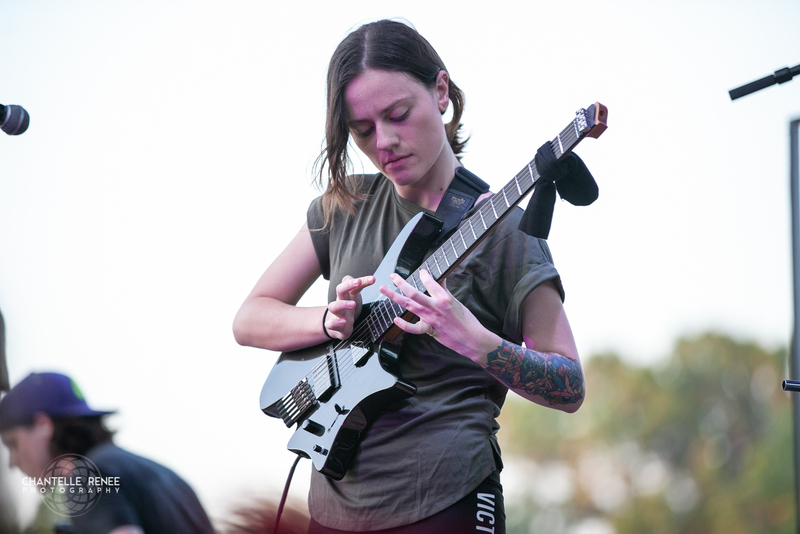 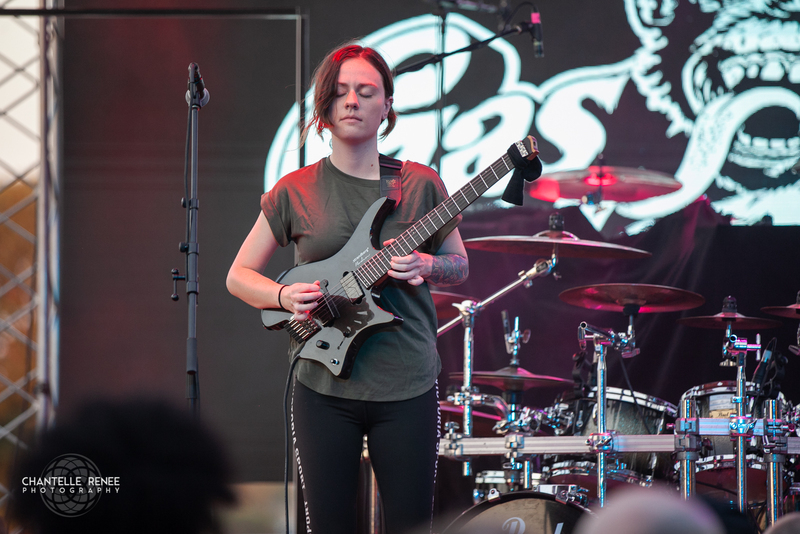 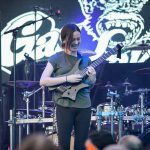 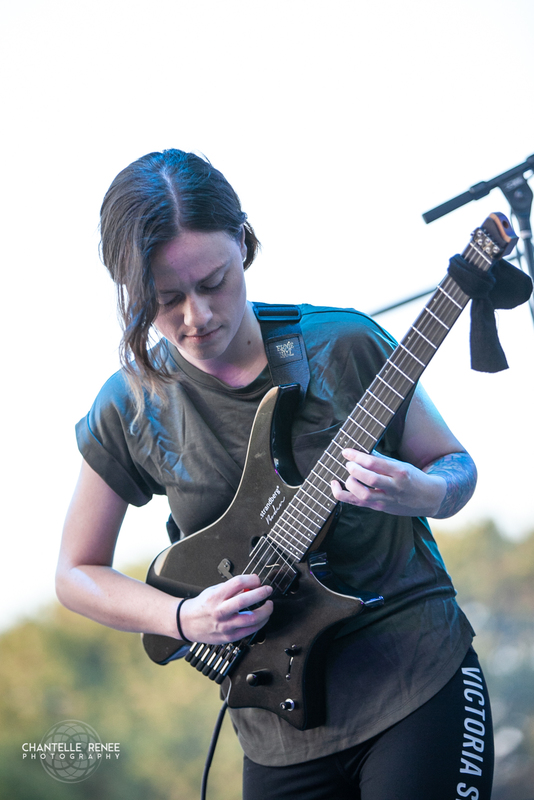 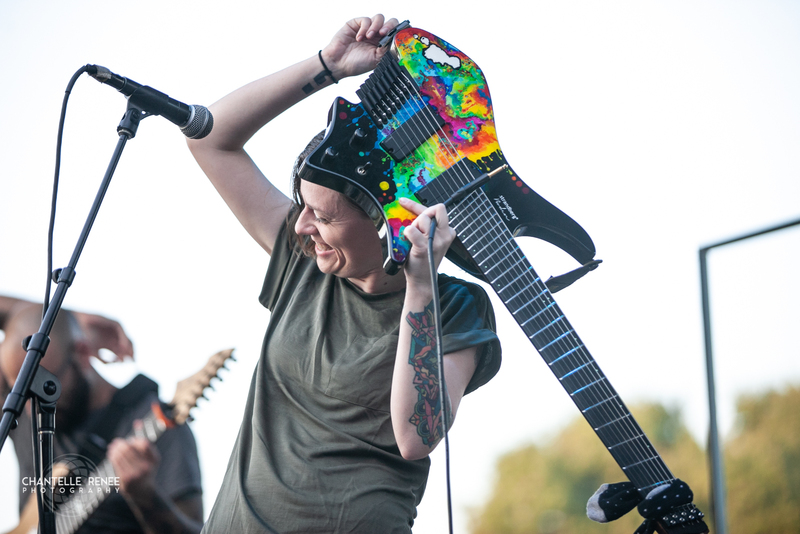 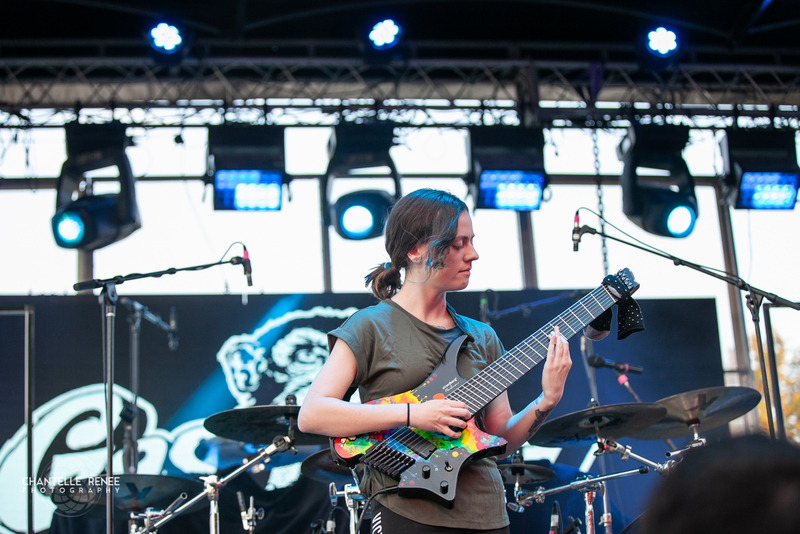 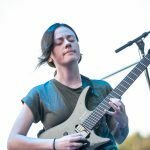 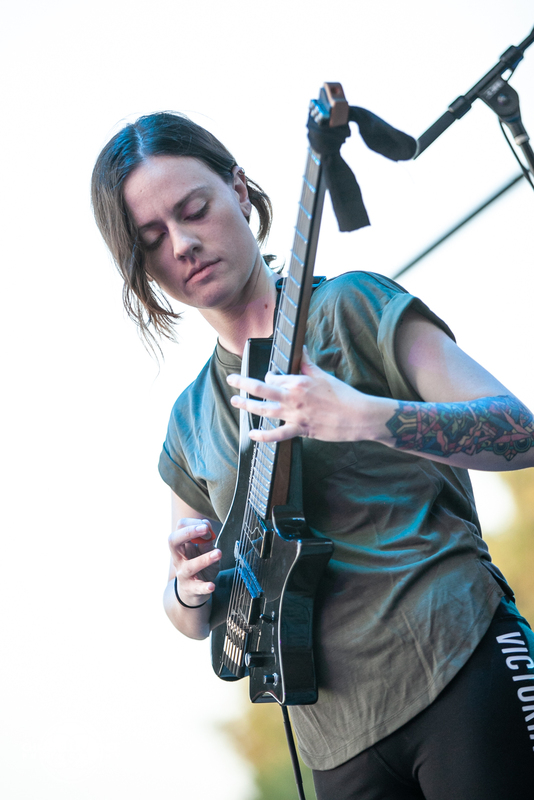 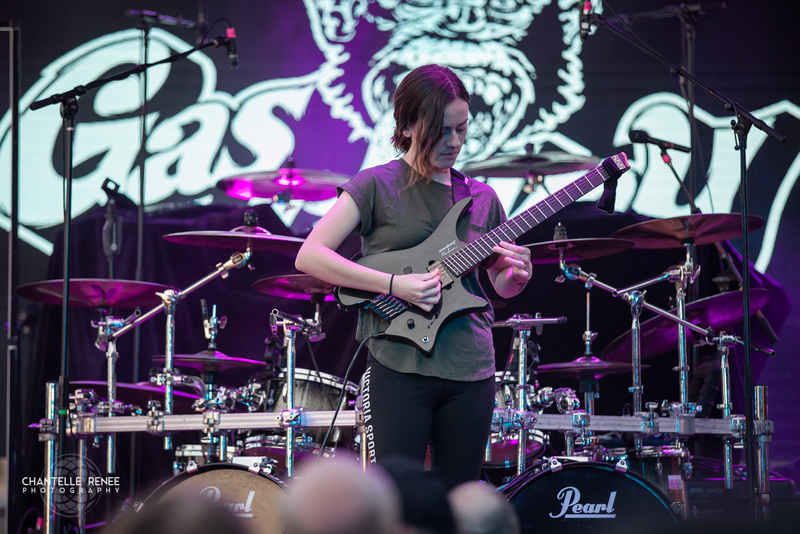 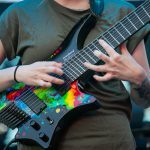 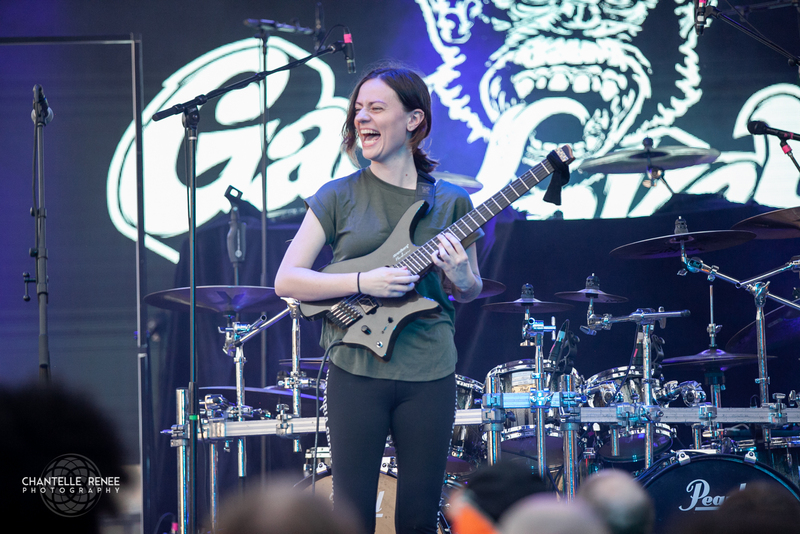 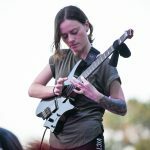 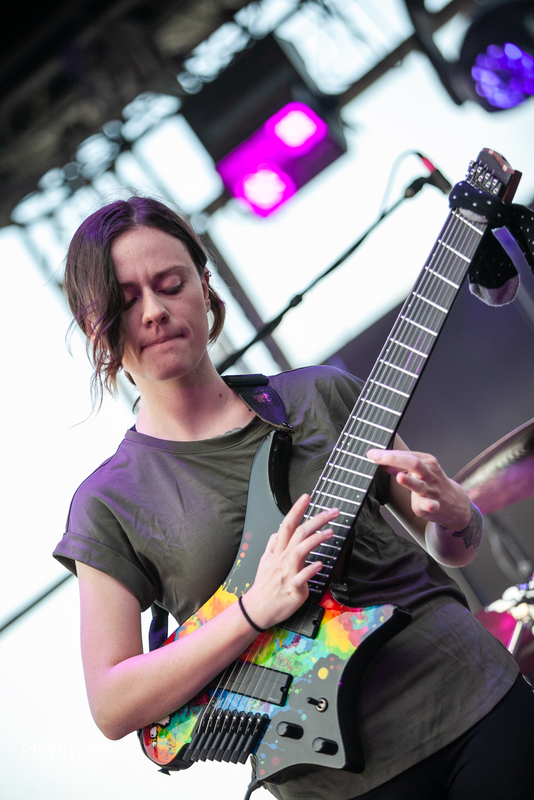 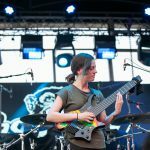 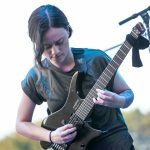 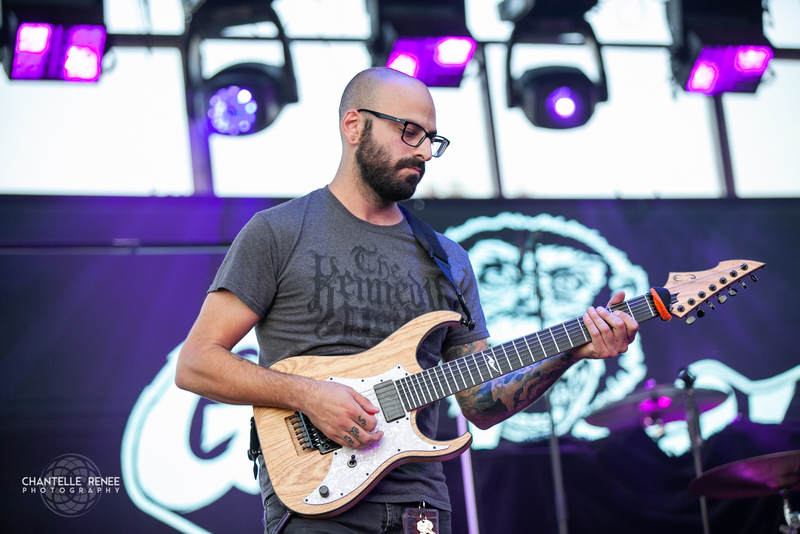 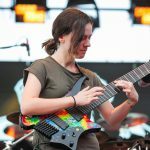 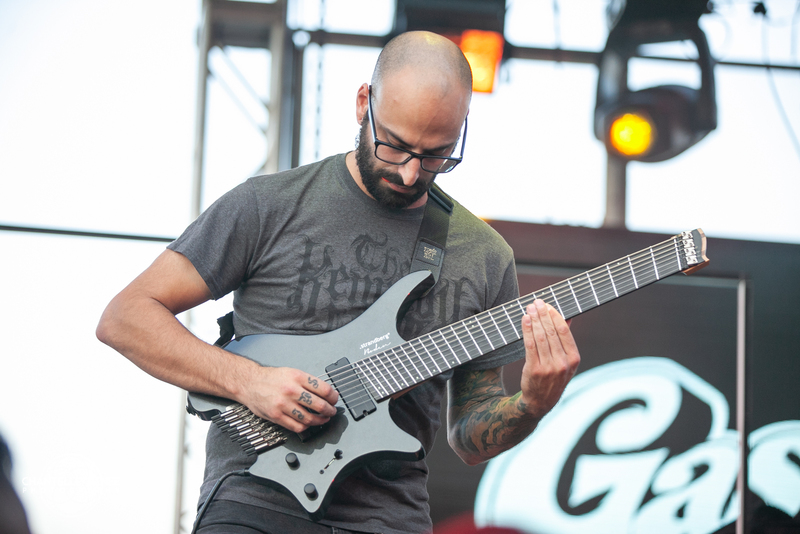 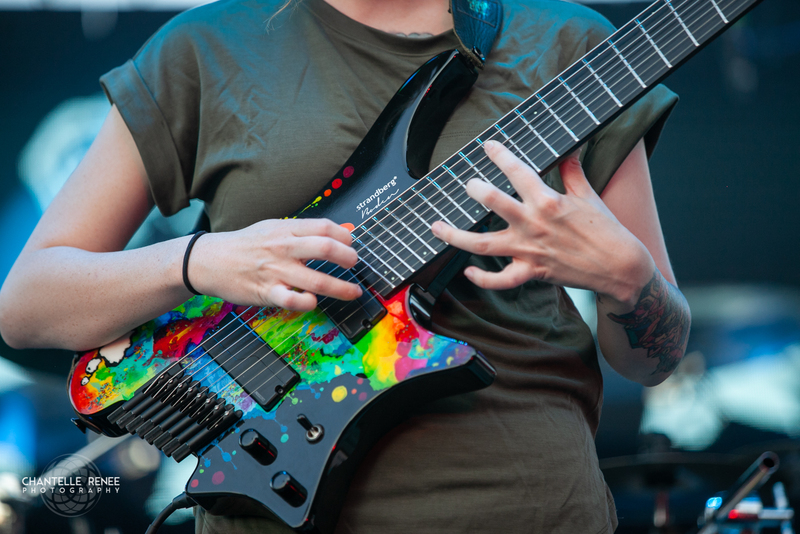 Guitarist Sarah Longfield and her accompanying band opened the multi-faceted evening, tapping the fretboard and dancing around the stage to an instrumental prog shred fest. 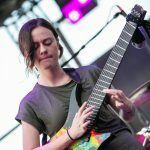 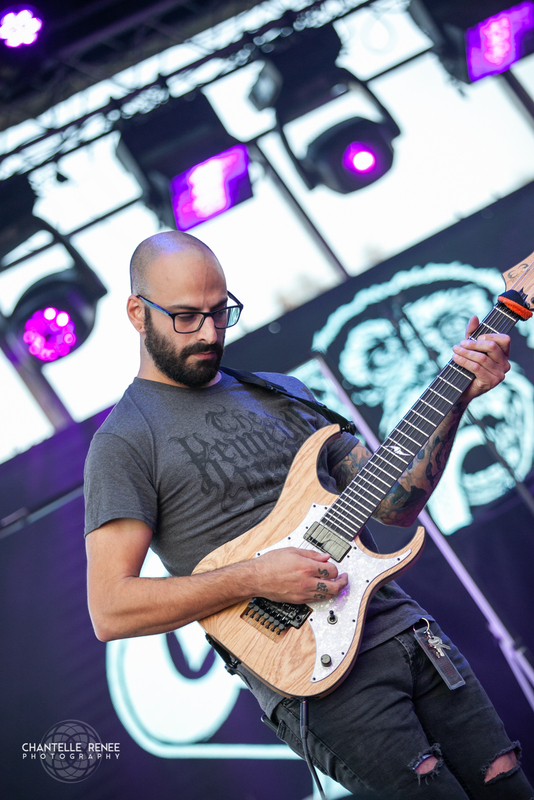 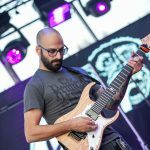 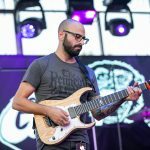 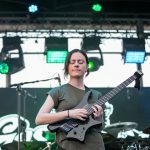 Backed by electronic beats and drummer Cameron Sather, Sarah and crew performed a moderate length set, brandishing headless .strandberg* guitars and powerful moments featuring distorted chugs mixed in with concise and clear harmonious tapping / thumping runs. 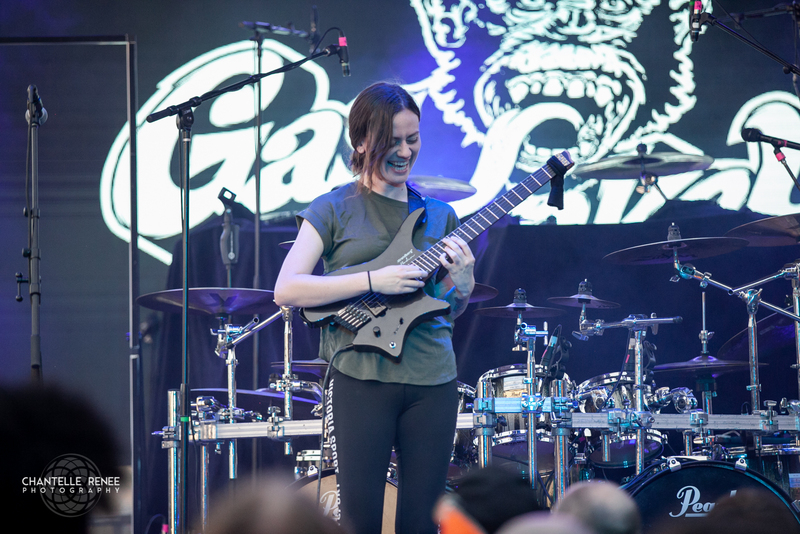 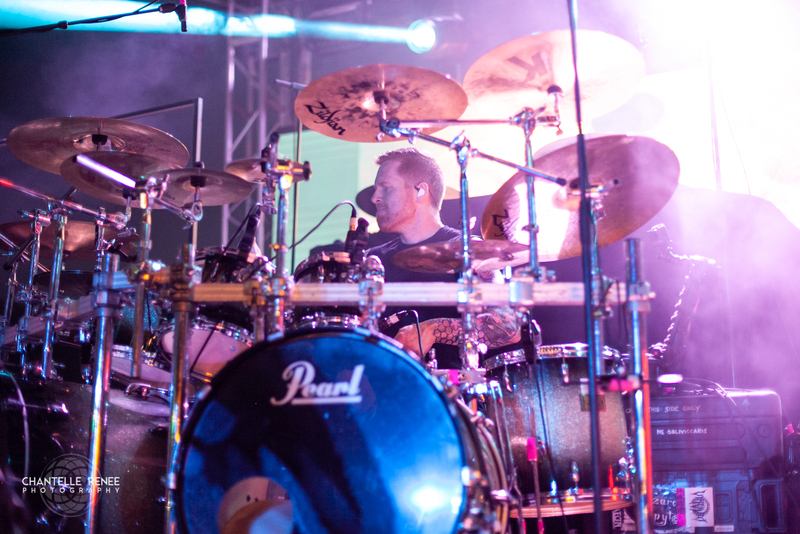 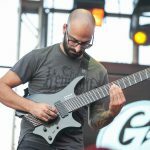 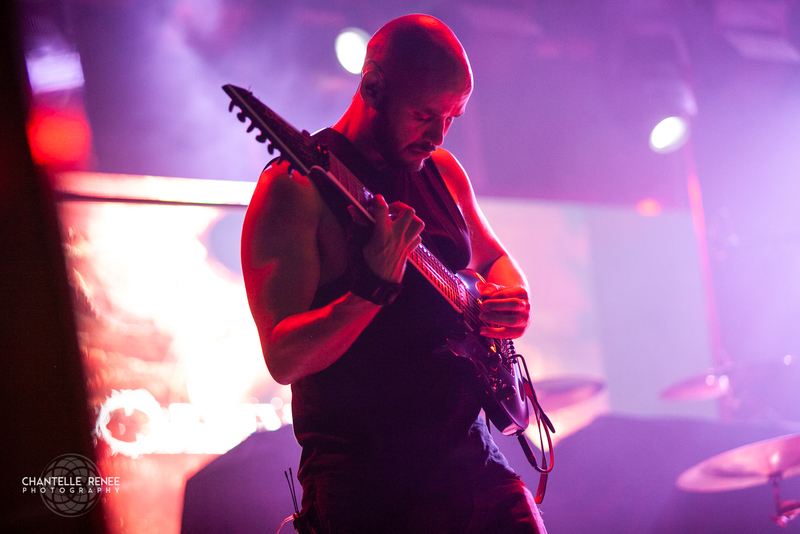 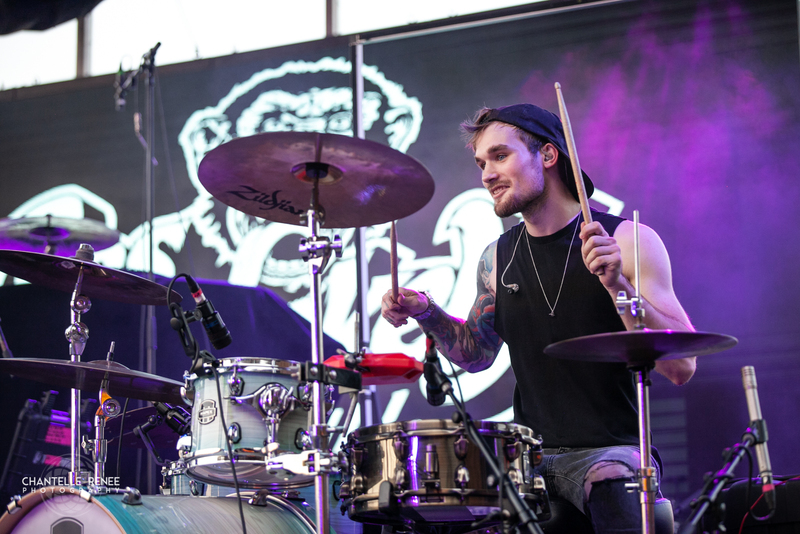 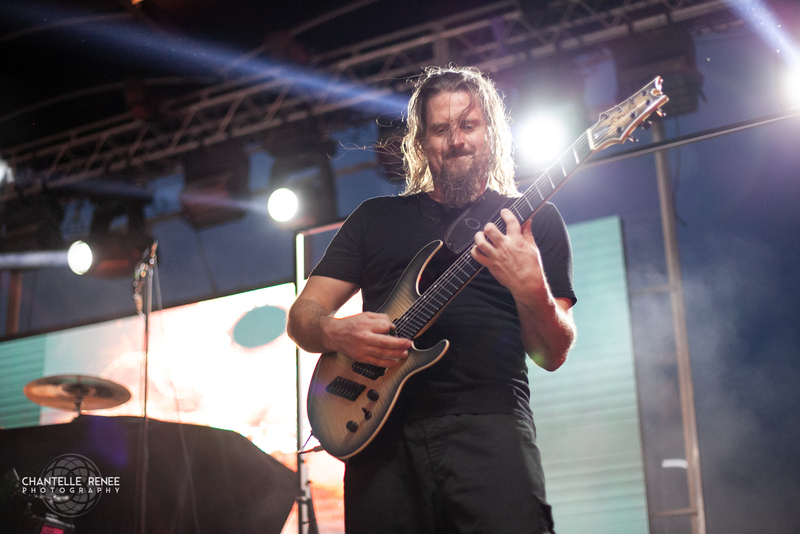 The feel of the set was far from static as dozens upon dozens of influences highlighted what I describe as a “jazzier, more upbeat Animals as Leaders”. 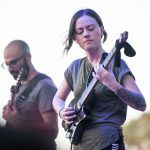 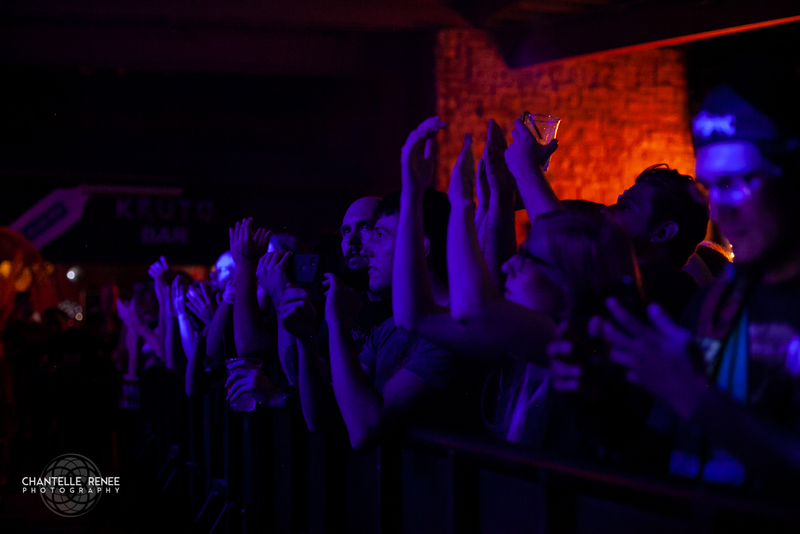 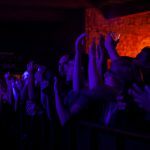 Despite not featuring a bassist, the two guitarists and drummer wield a quite full sound and engaged with those in attendance despite the intensity of the music on the performers. 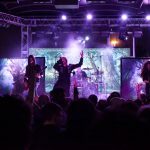 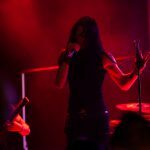 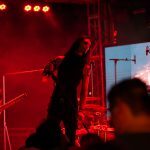 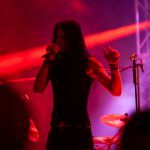 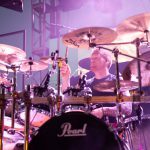 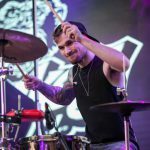 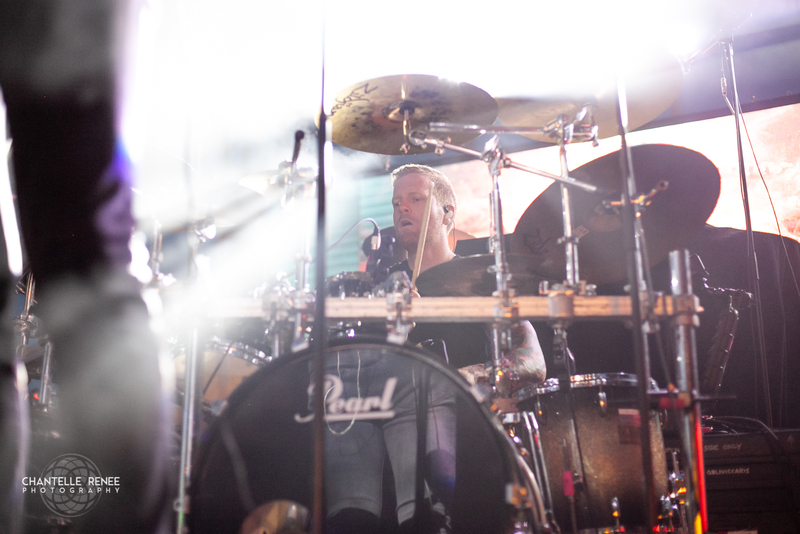 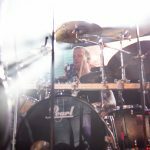 Following Sarah Longfield’s performance, Australian prog metal titans Ne Obliviscaris opened up their set rather quickly and jumped right into an exceptionally heavy and blast beat riddled windmill session. 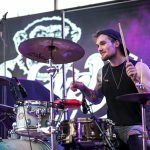 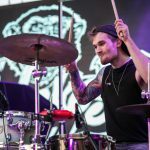 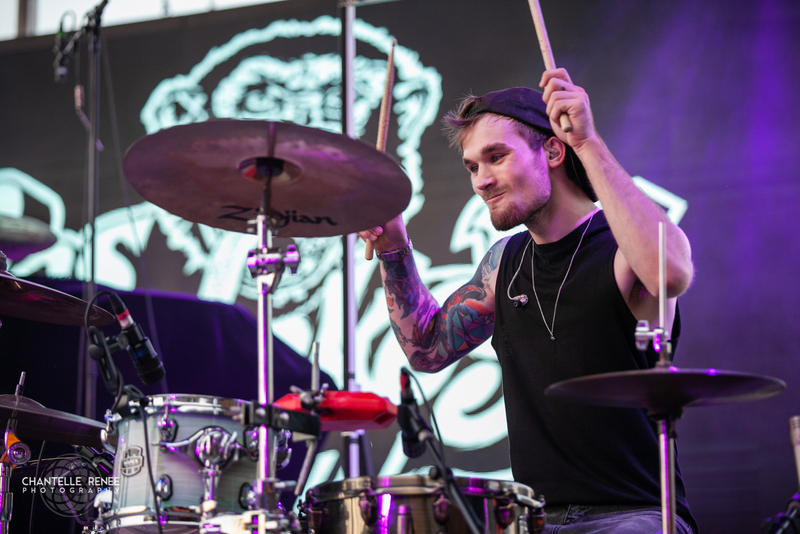 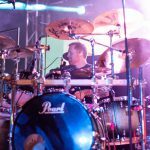 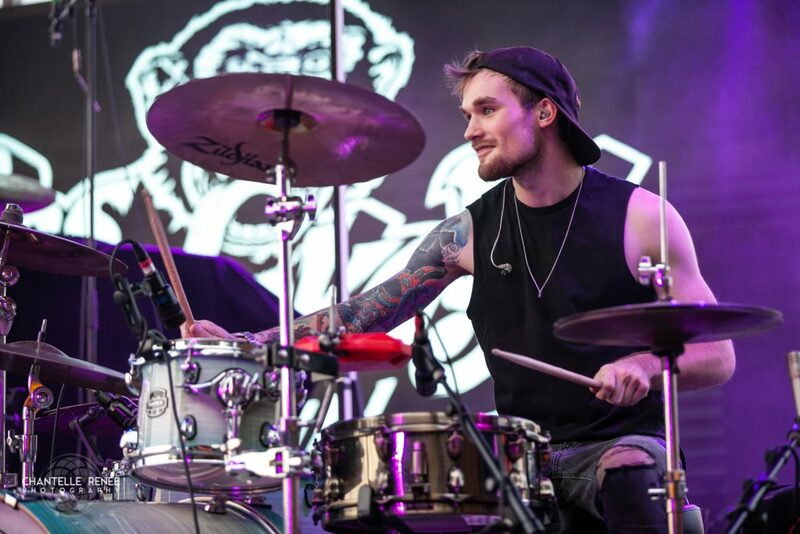 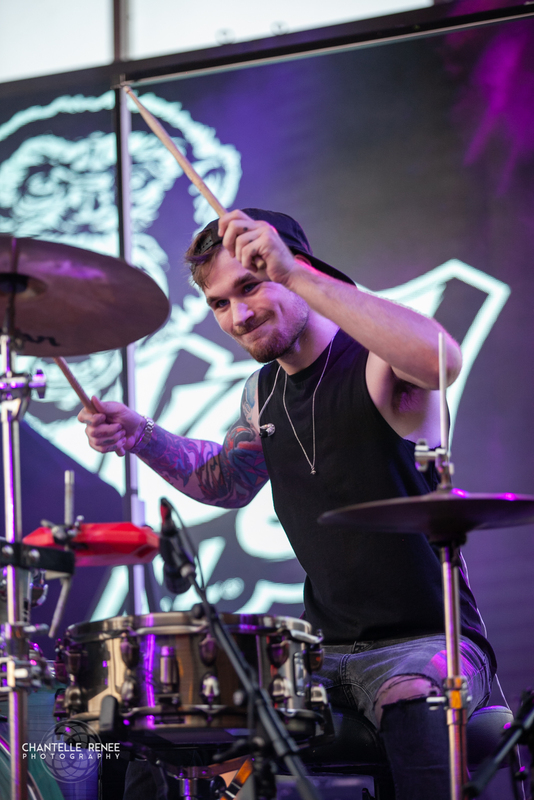 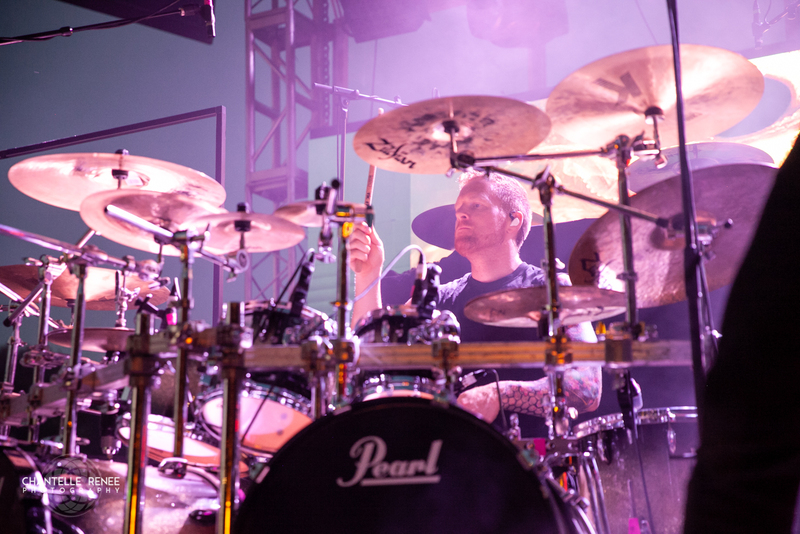 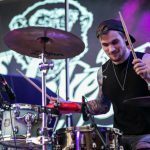 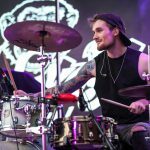 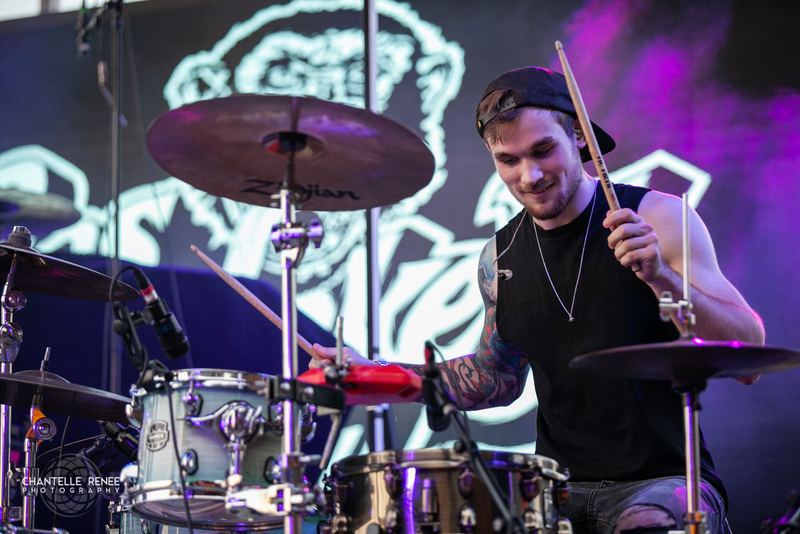 Dan Presland’s jaw dropping accuracy and power behind the drum kit was matched equally by the proficiency of the rest of the group, as harsh vocalist Xen and clean vocalist / violinist Tim Charles harmonized perfectly on time with the guitars. 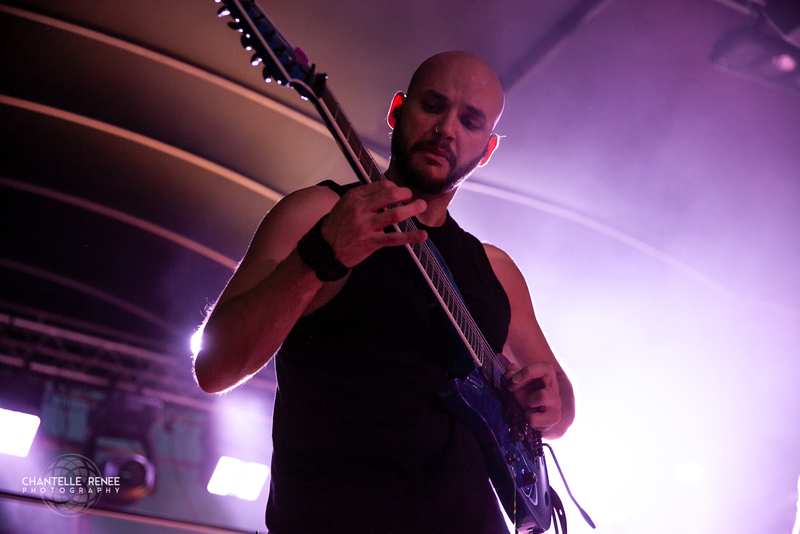 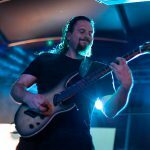 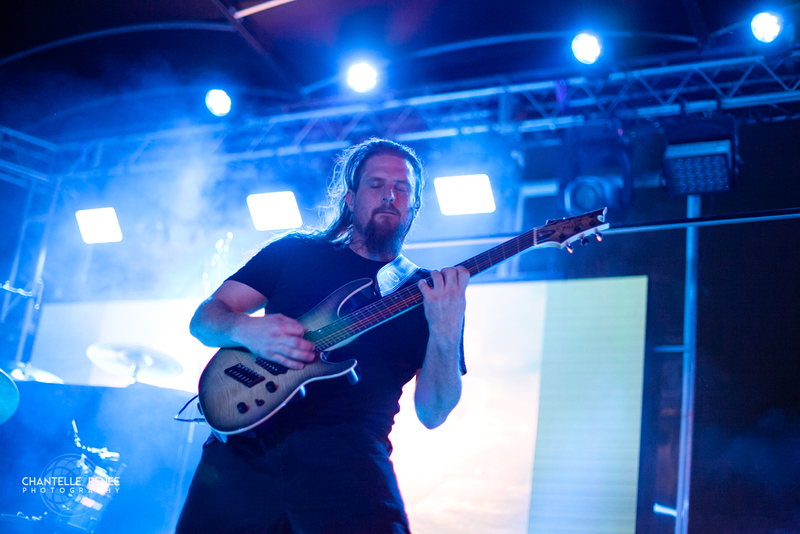 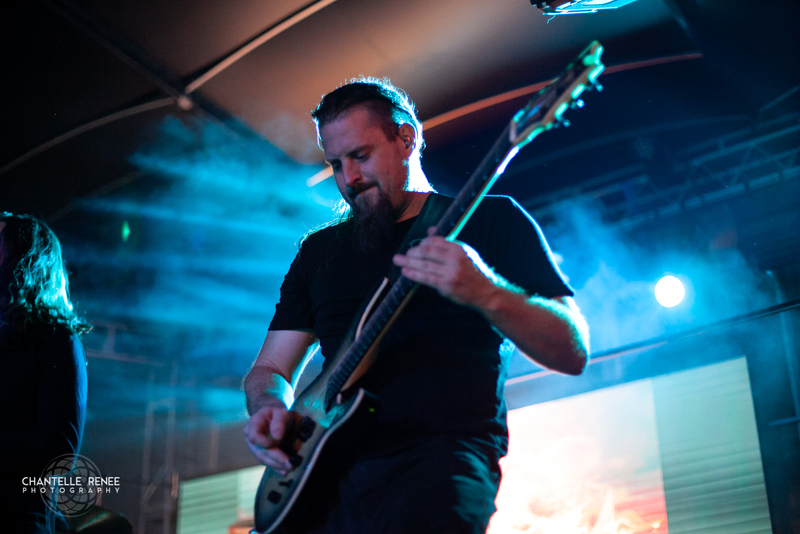 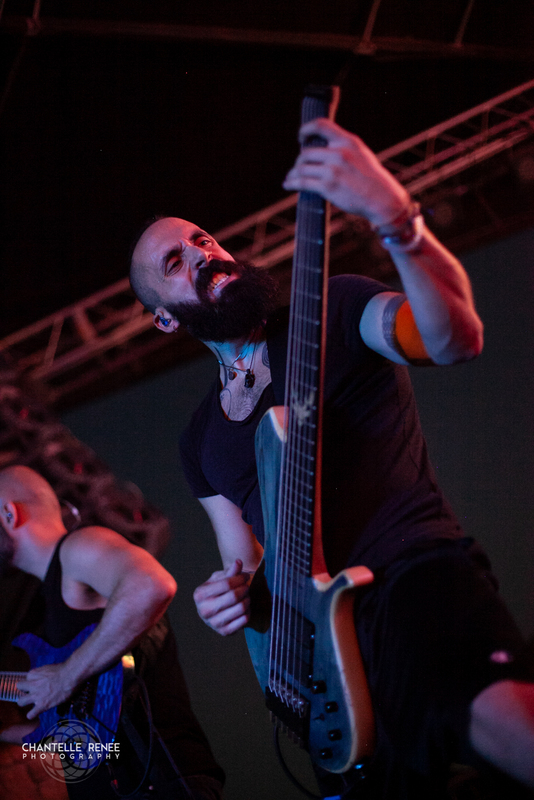 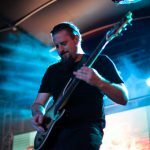 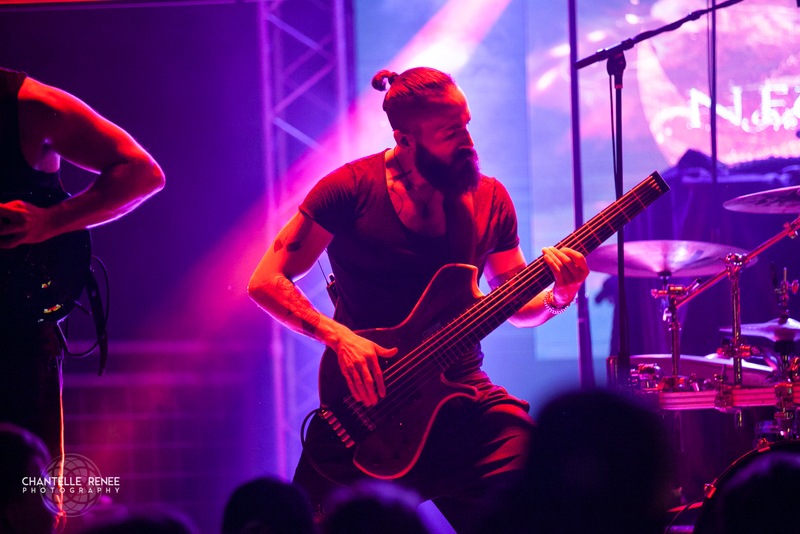 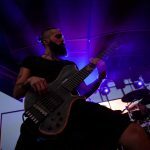 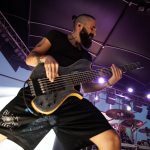 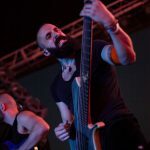 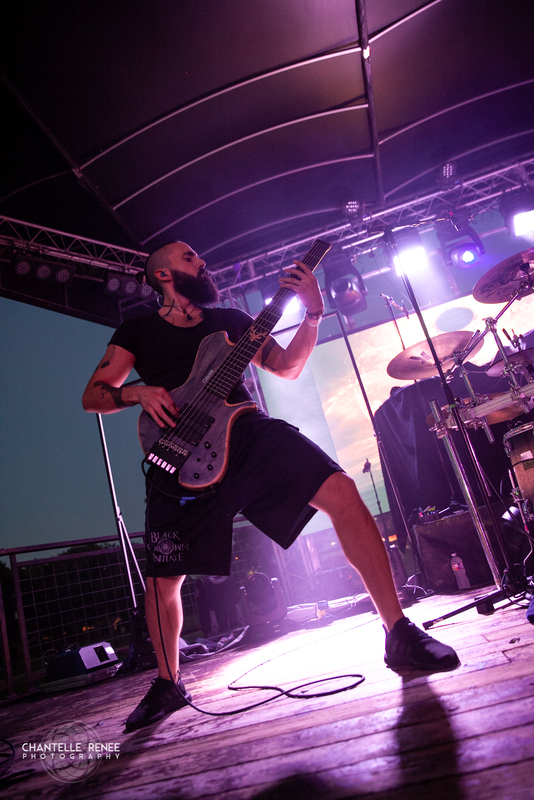 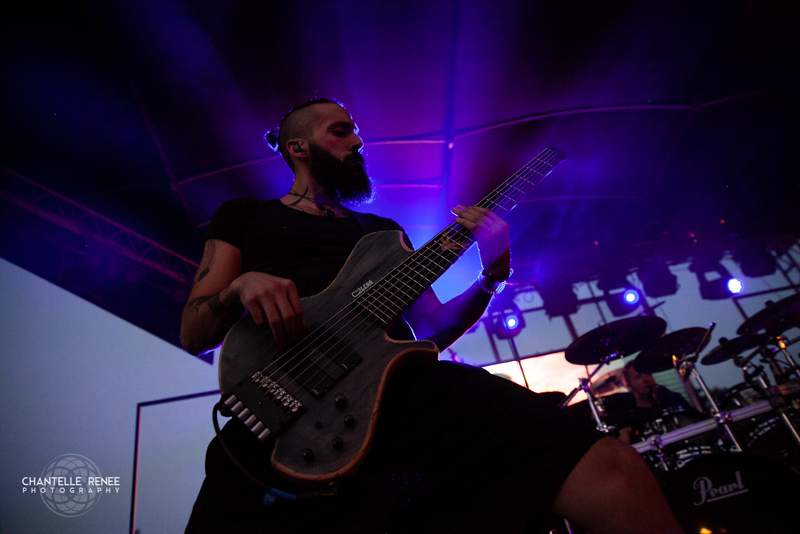 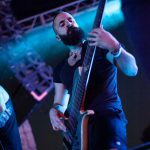 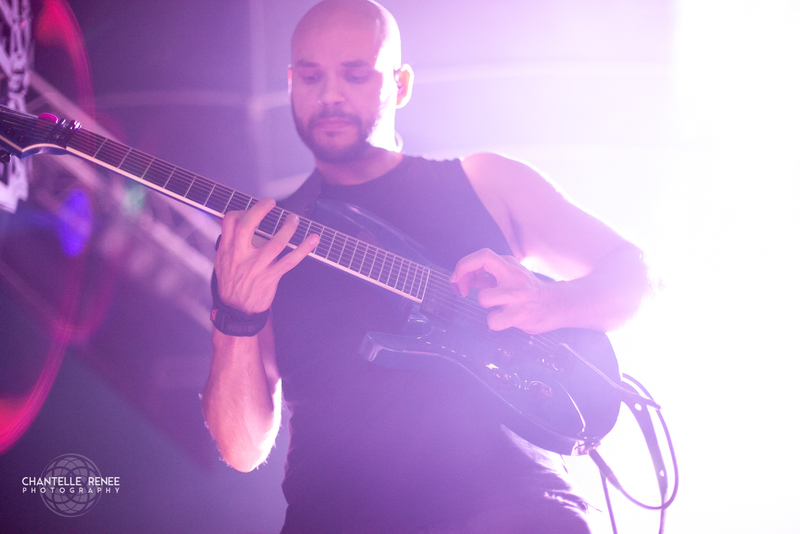 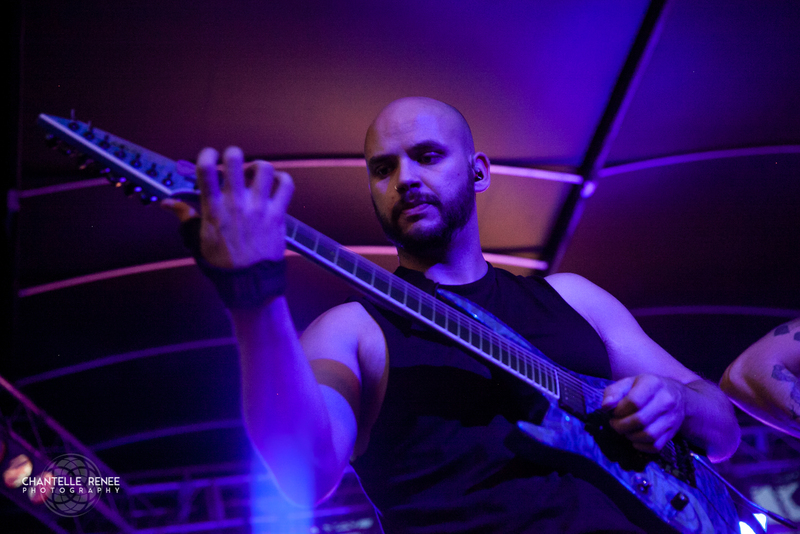 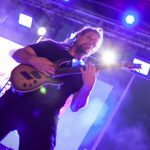 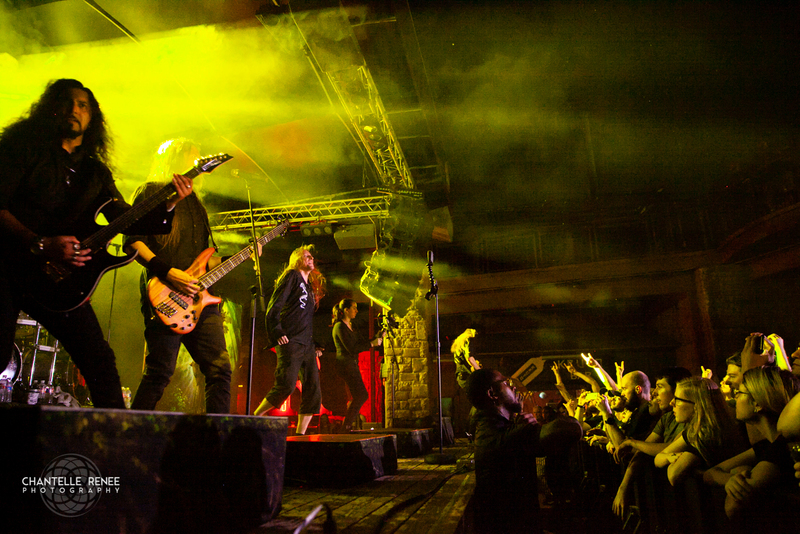 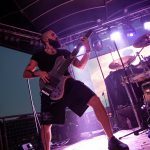 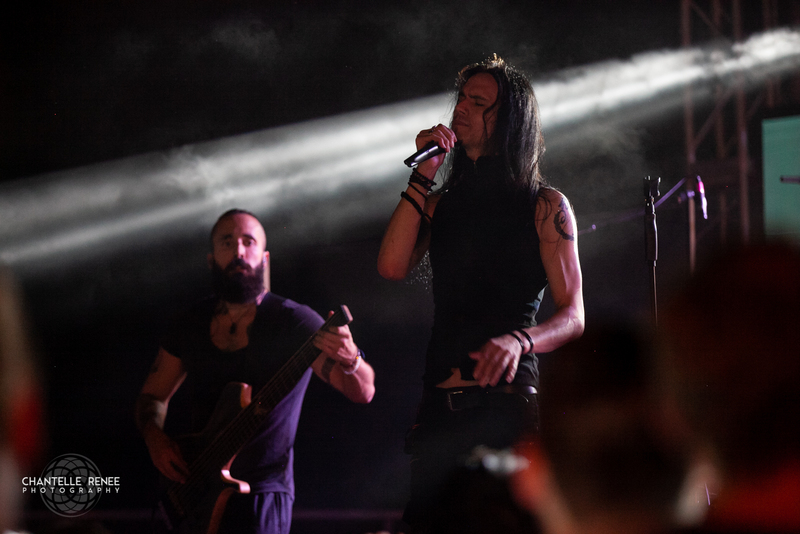 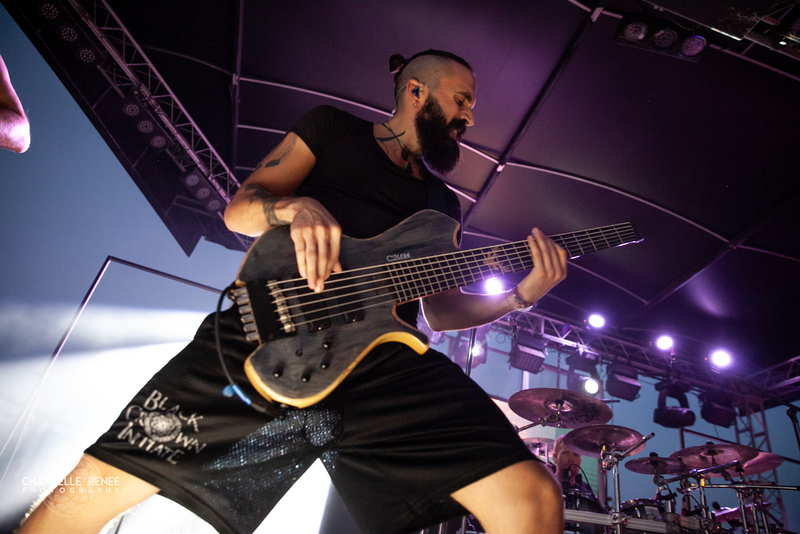 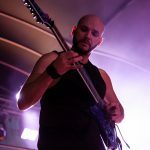 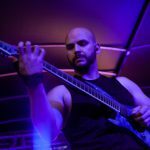 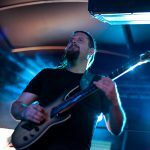 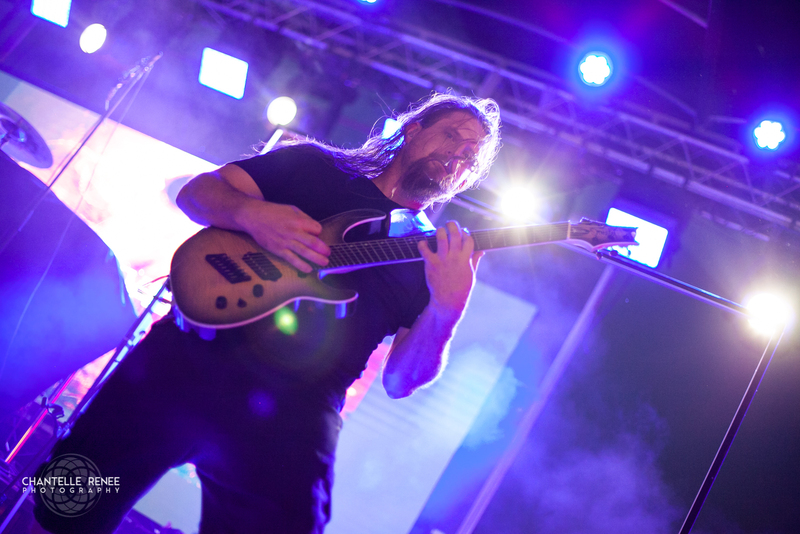 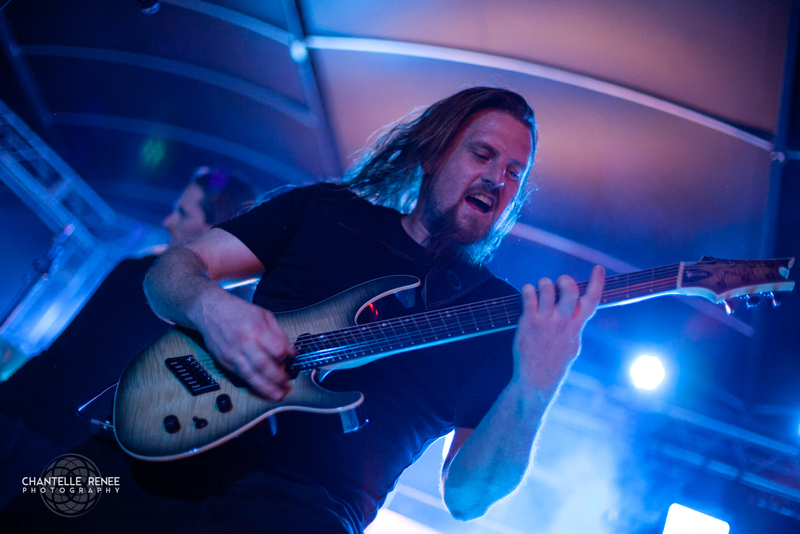 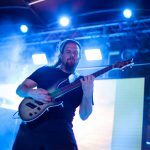 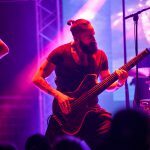 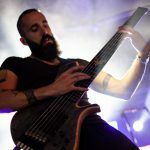 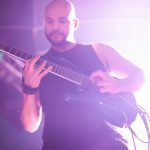 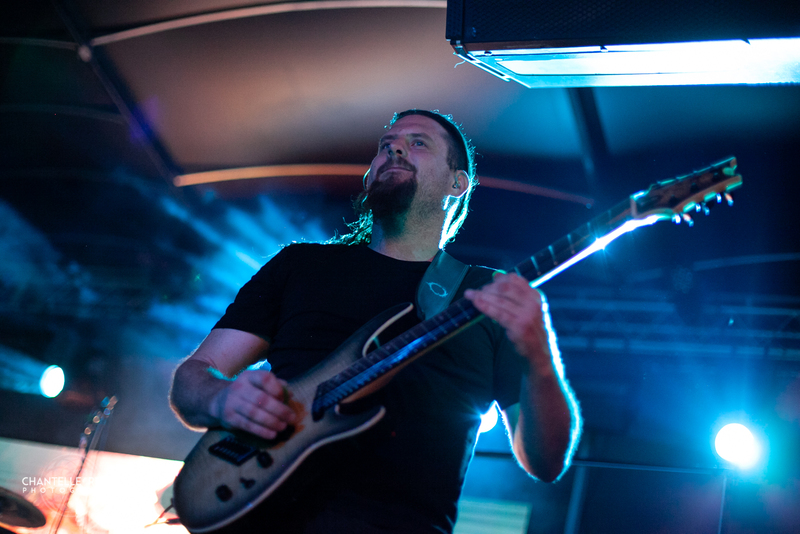 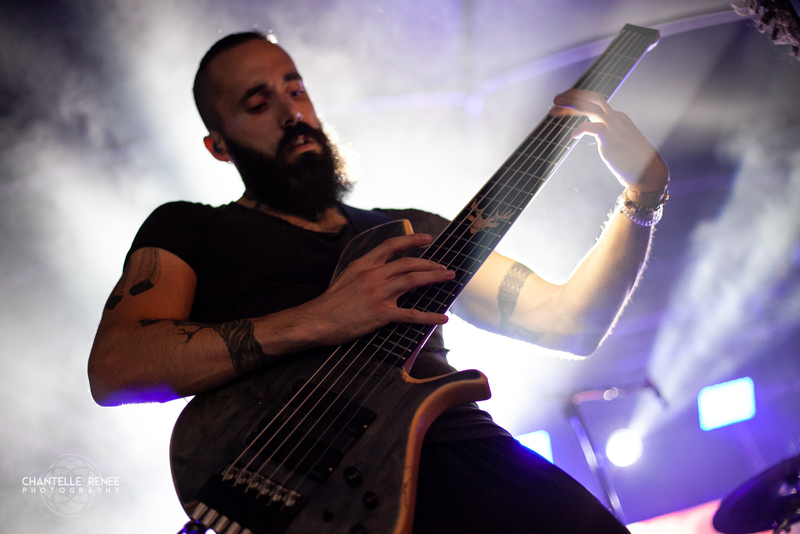 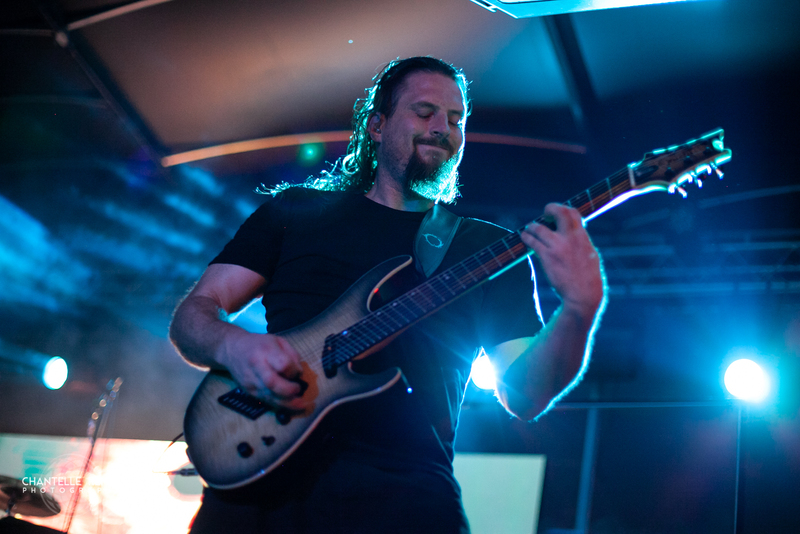 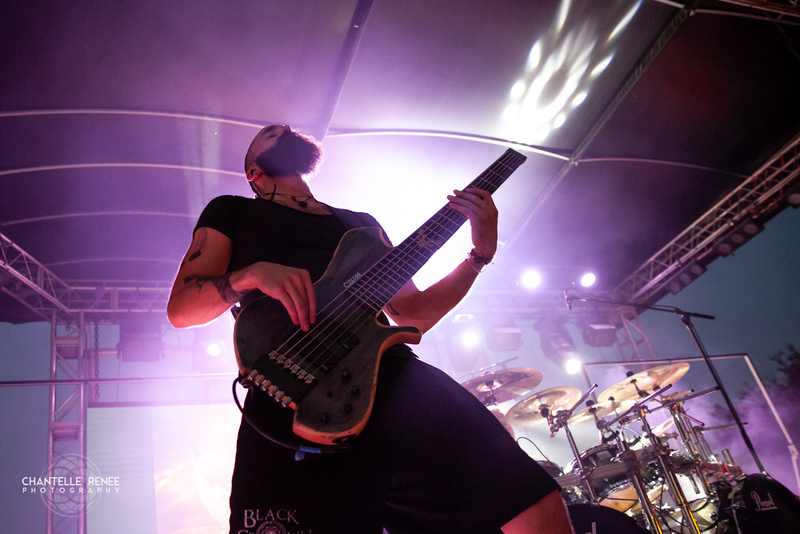 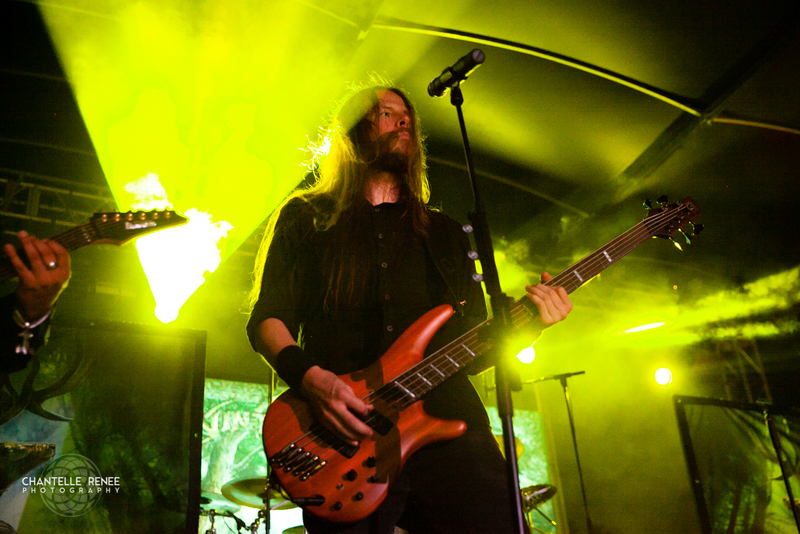 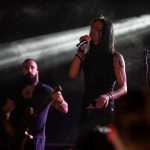 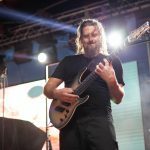 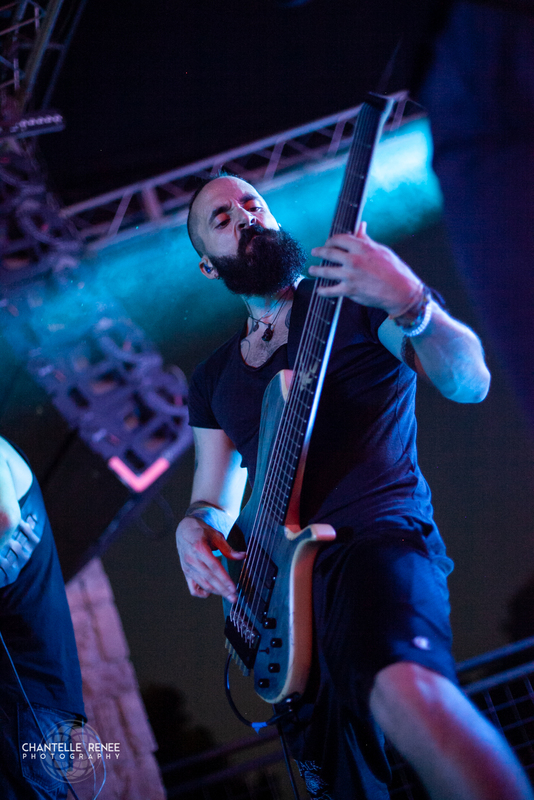 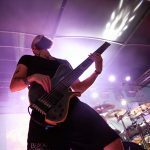 Bassist Martino Garattoni held his own many times with a multitude of standalone bass driven moments, including a solo tapping run that led the entire band from silence into the organized chaos that is Ne Obliviscaris’ music. 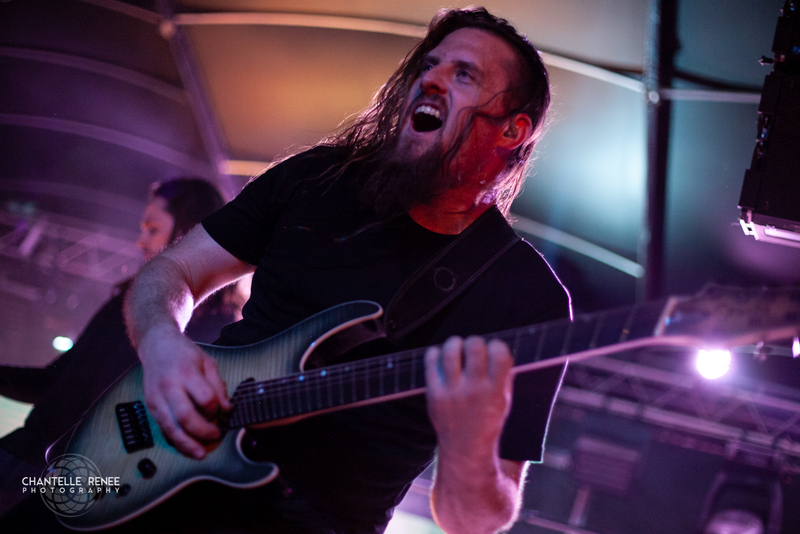 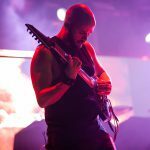 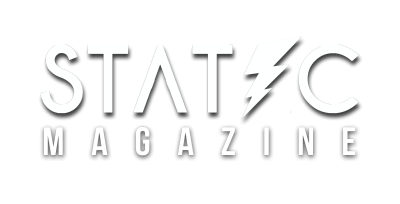 Functioning as a fantastic mixture of the two, the band weaved between somber, emotionally charged, and ridiculously heavy moments, showing the intricacy and depth to this metal band in abundance and how they stand a head above your typical metal act. 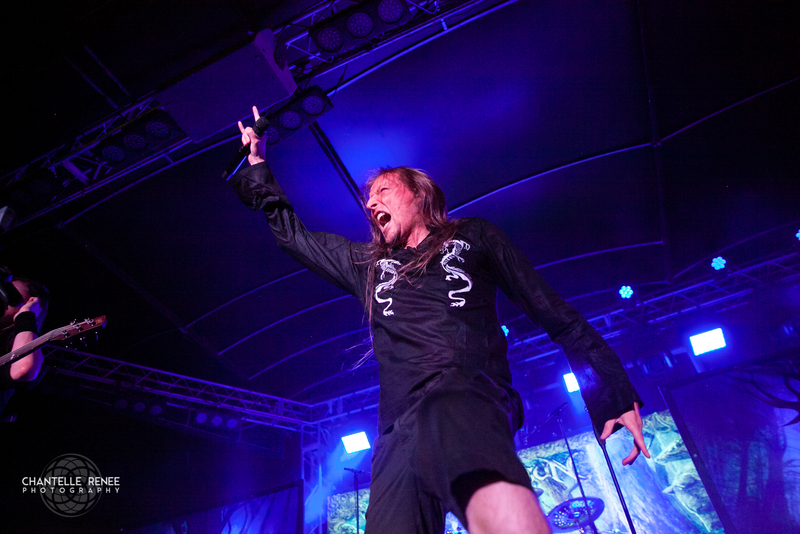 Wintersun finalized the evening with their brand of upbeat, key driven thrash metal. 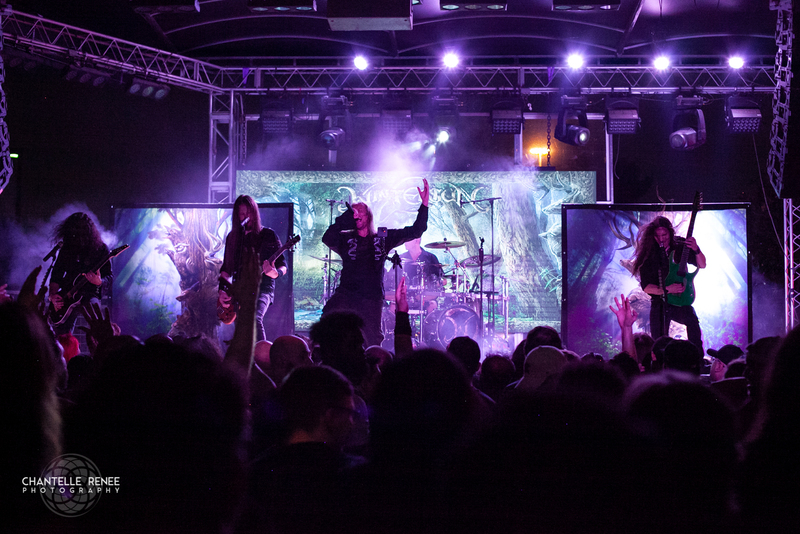 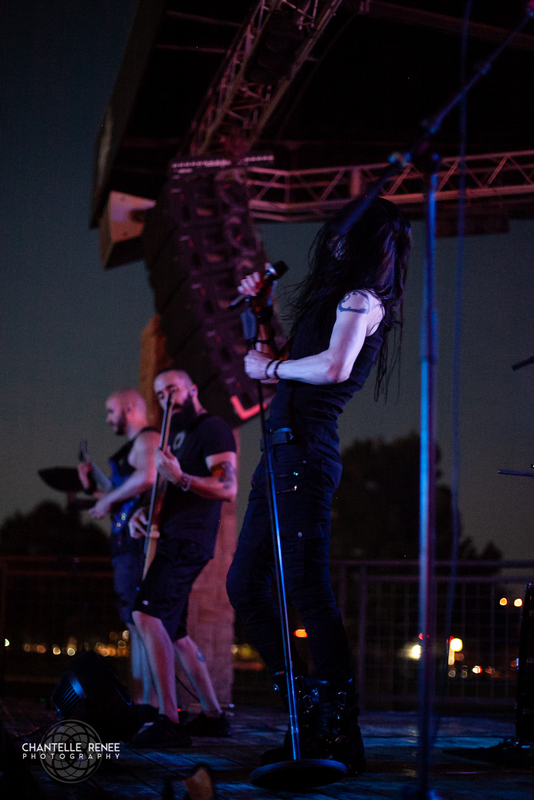 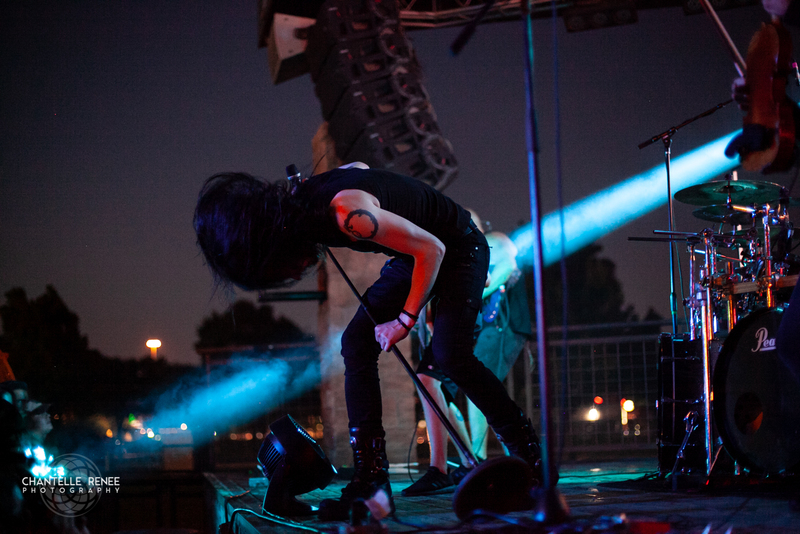 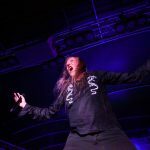 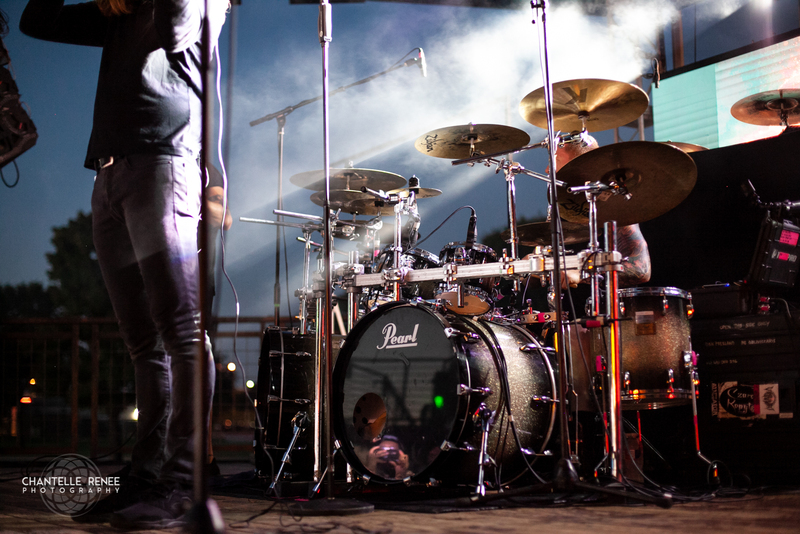 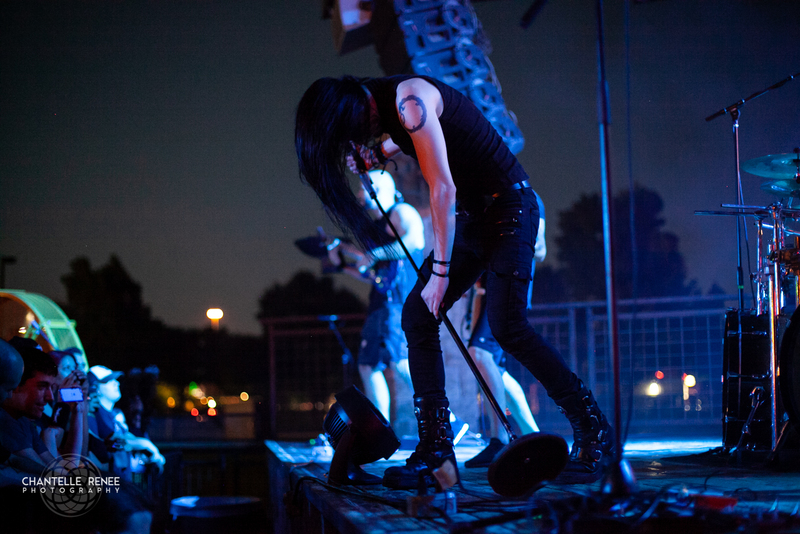 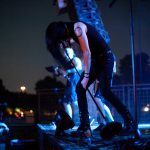 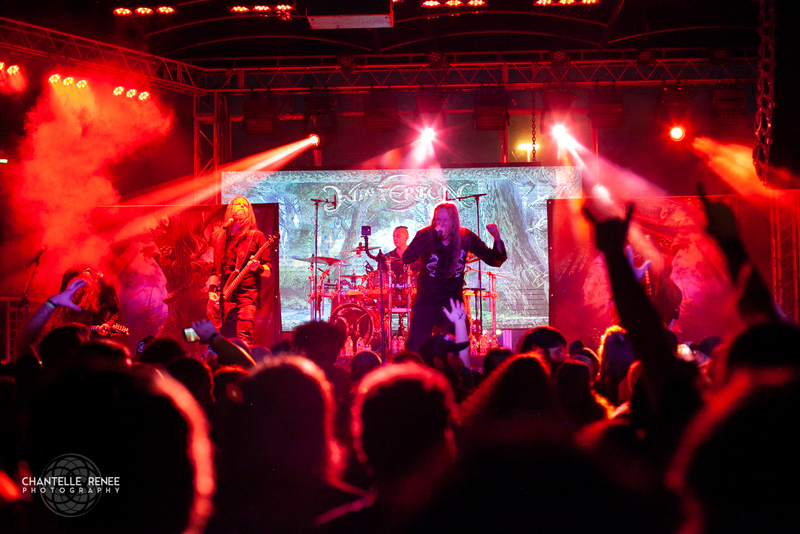 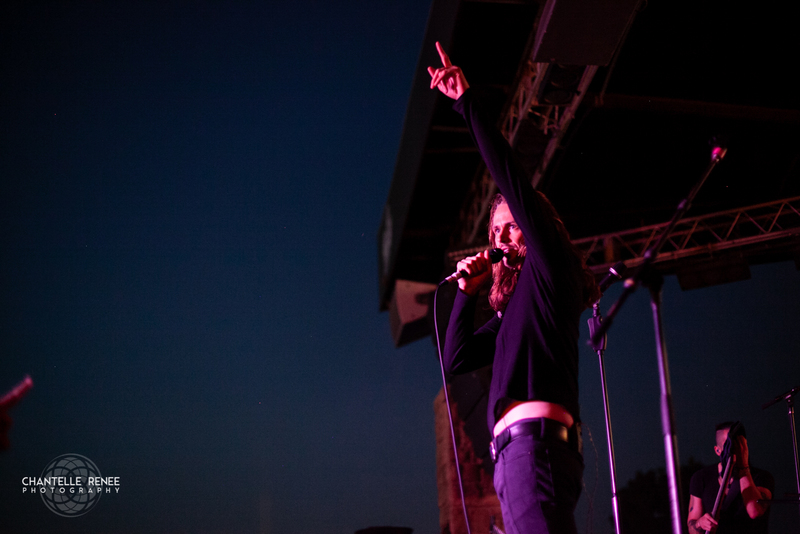 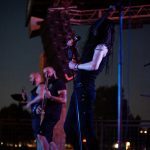 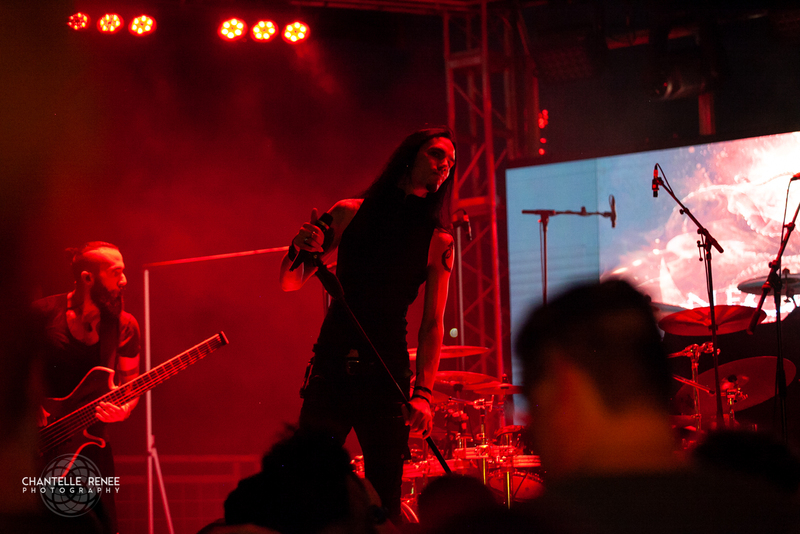 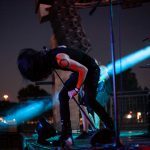 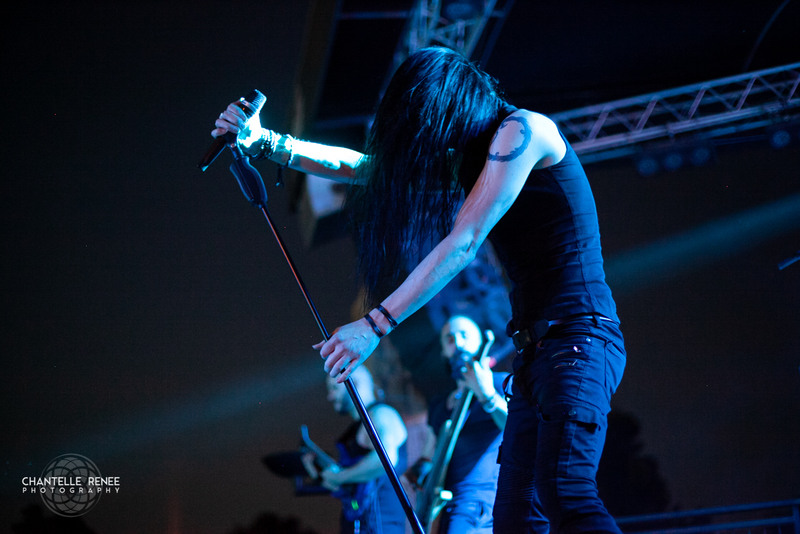 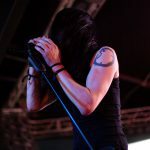 As warriors of the early 2000’s metal sound, the melodic gallop picking and airy keys backed by a mixture of harsh and power metal vocals reverberated throughout the outdoor venue as the crowd went wild, drawing a bit more of a reaction than previous performances. 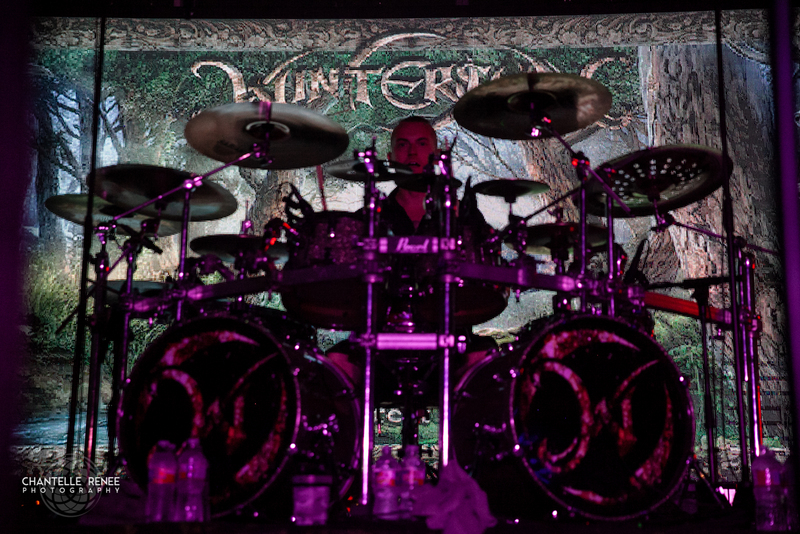 Though most of the set was the usual mix of older metal sound, a few tracks performed from their older material showcased their change over time as blast beats and faster, more intricate riffing were highlighted on “Winter Madness”. Though I hadn’t given them much of a listen before, this song sold them to me as the parallels between their music and other bands of the genre I was a huge fan of (Children of Bodom… cough cough) became apparent. 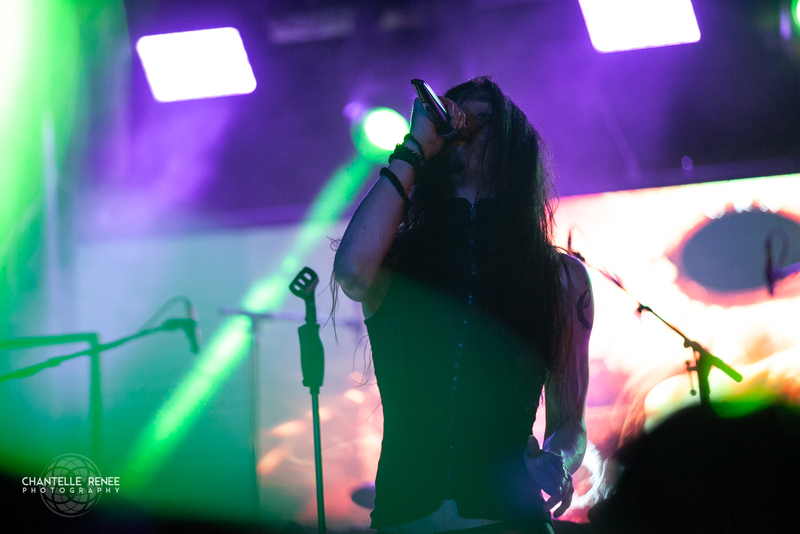 Despite not having much of a background with their music, as with any metal act designed to be catchy, their performance was quite enjoyable and next to impossible to avoid bobbing my head to. 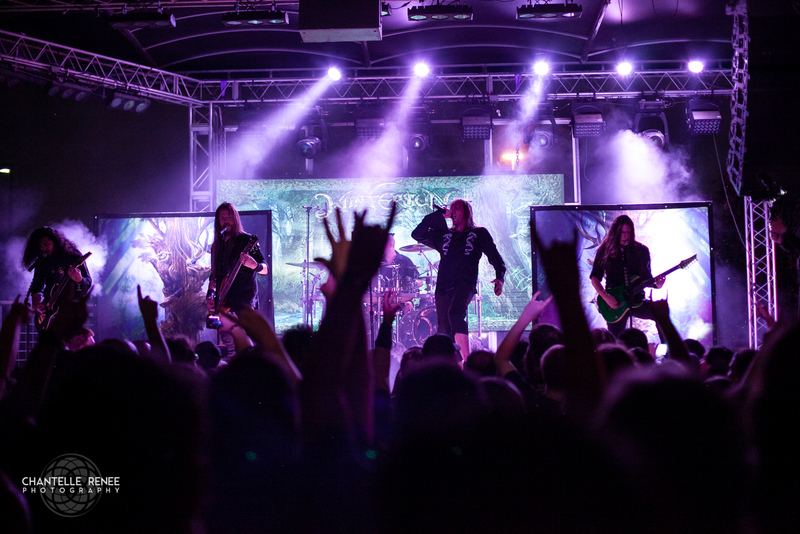 This style of metal is what won me over to begin with, so a pleasant backtrack to my origins made for a fantastic evening. 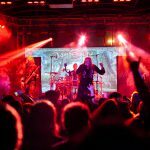 The Bloodletting North America Tour 2018, Live at Gas Monkey Bar & Grill!